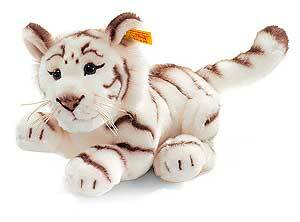 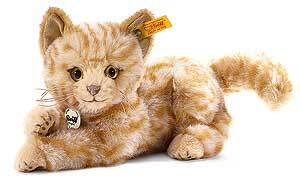 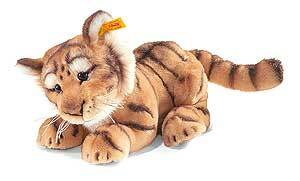 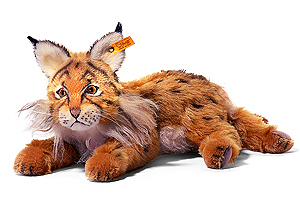 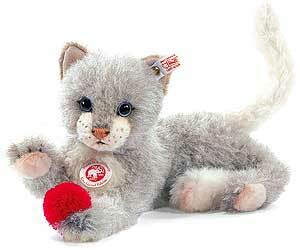 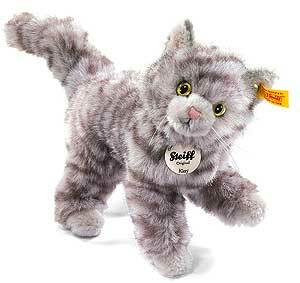 (We have displayed Steiff Paws Cat 084430 for historical archive reference only). 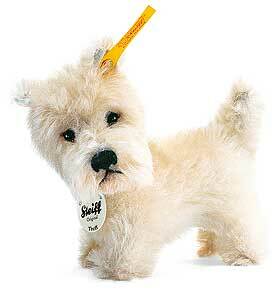 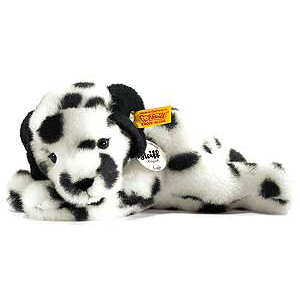 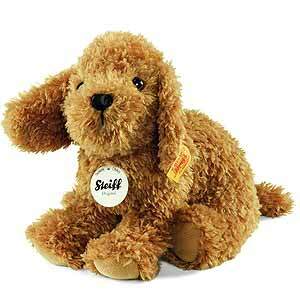 (We have displayed Steiff Tommy Little Puppy 083532 for historical archive reference only). 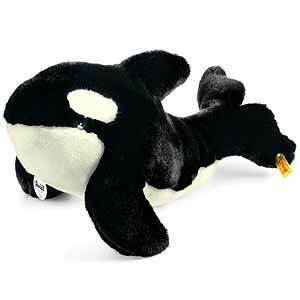 (We have displayed Steiff Olly Killer Whale 063251 for historical archive reference only). 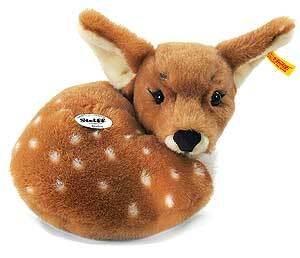 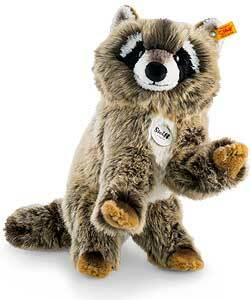 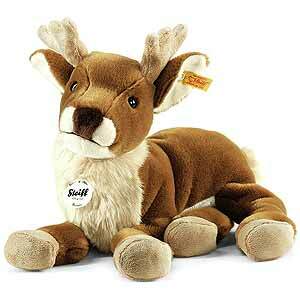 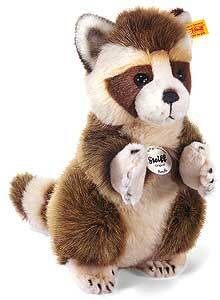 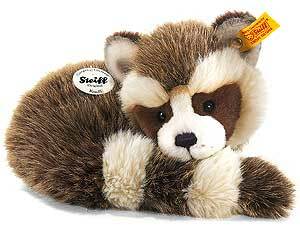 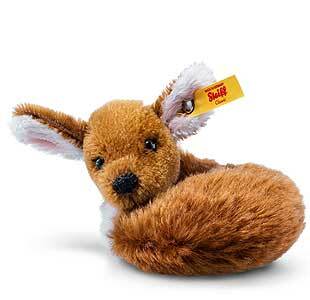 (We have displayed Ricky Classic Mini Fawn by Steiff 033063 for historical archive reference only). 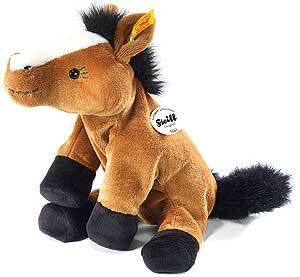 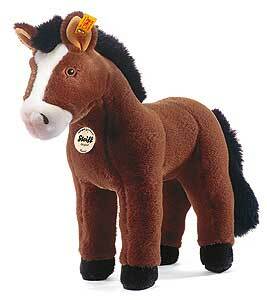 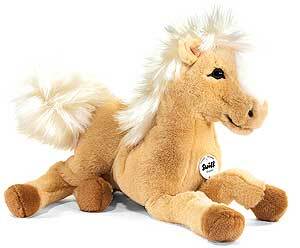 (We have displayed Steiff Mini Horsilee Horse 069970 for historical archive reference only). 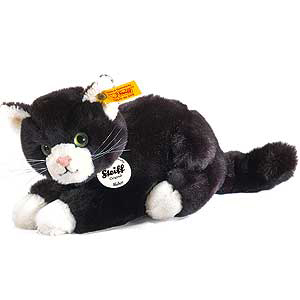 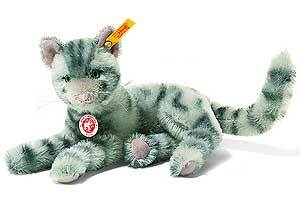 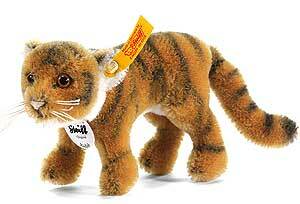 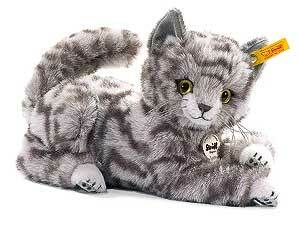 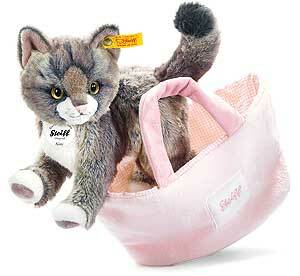 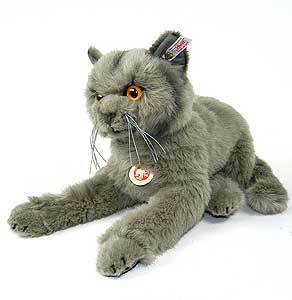 (We have displayed Moggy Classic Mini Cat by Steiff 033551 for historical archive reference only). 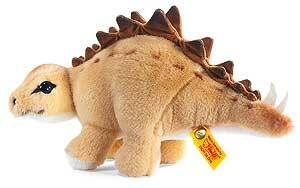 (We have displayed Steiff Stegi Stegosaurus 066863 for historical archive reference only). 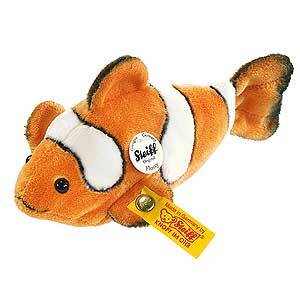 (We have displayed FLOSSY Clownfish by Steiff 121890 for historical archive reference only). 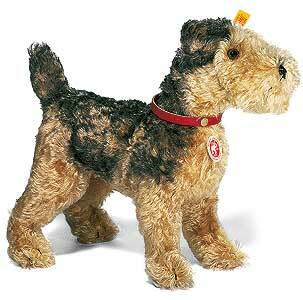 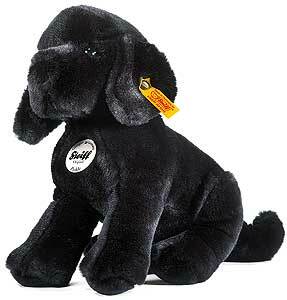 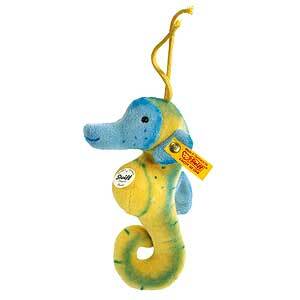 (We have displayed Molly Classic Dog by Steiff 031434 for historical archive reference only). 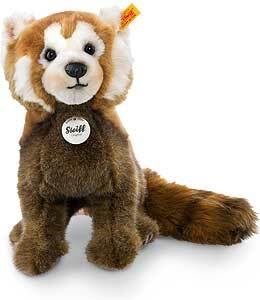 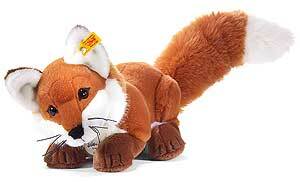 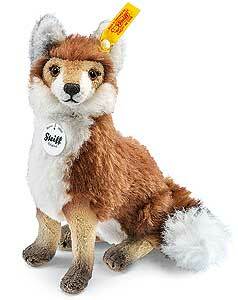 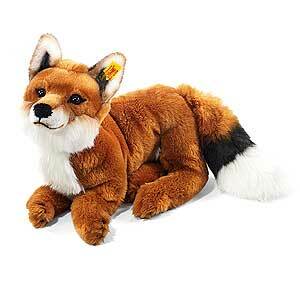 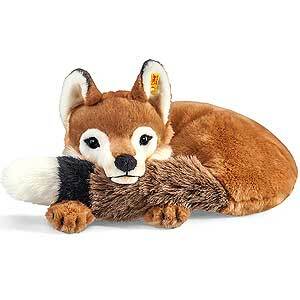 (We have displayed Steiff Foxy Fox - russet 033476 for historical archive reference only). 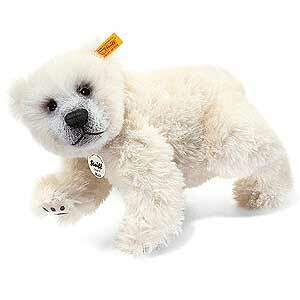 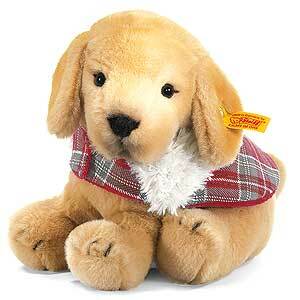 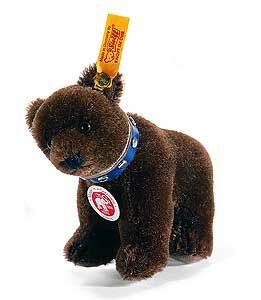 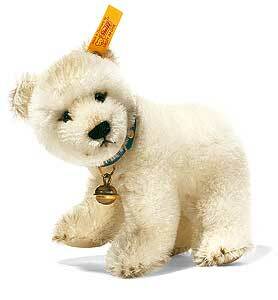 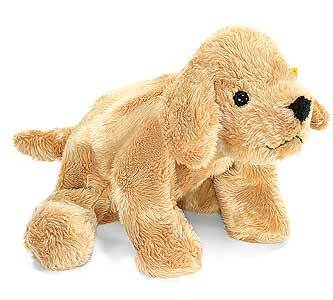 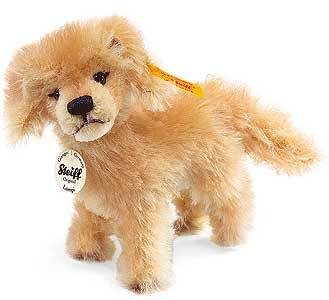 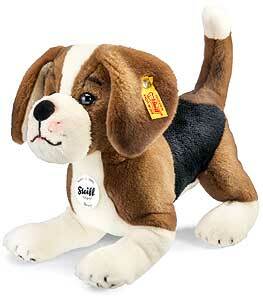 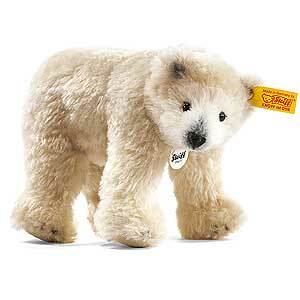 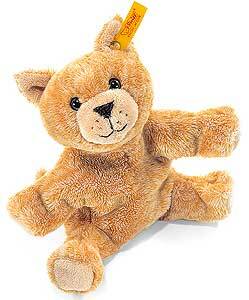 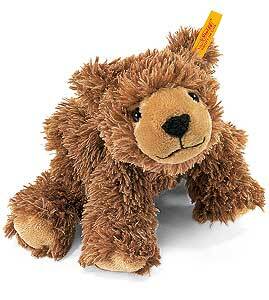 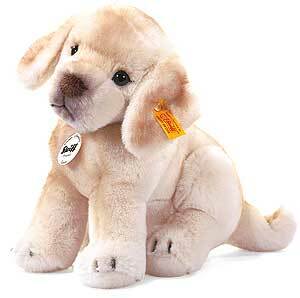 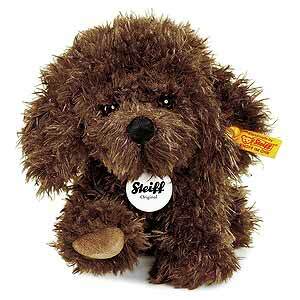 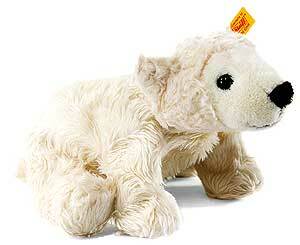 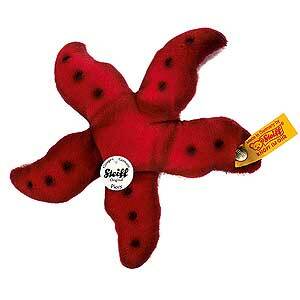 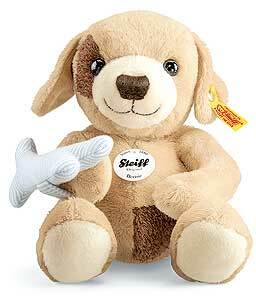 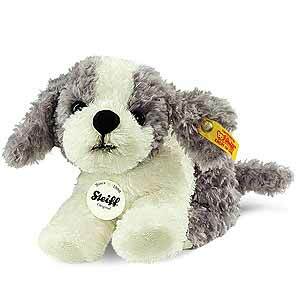 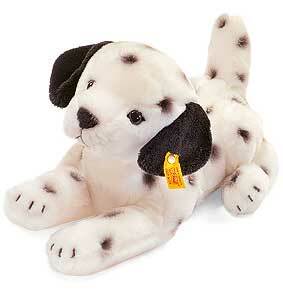 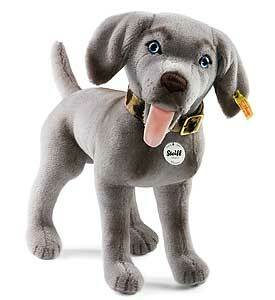 (We have displayed Steiff Timmy Little Puppy 083525 for historical archive reference only). 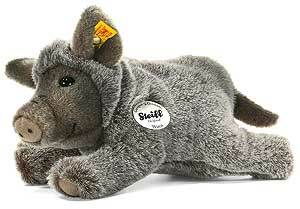 (We have displayed Steiff Fritzi Donkey 072819 for historical archive reference only). 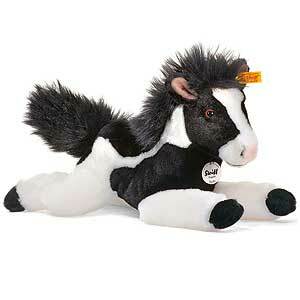 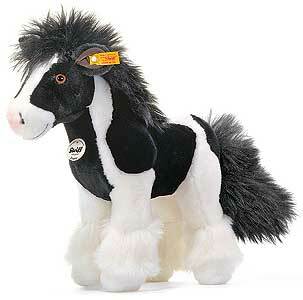 (We have displayed Steiff Ricky Dangling Gypsy Horse 070181 for historical archive reference only). 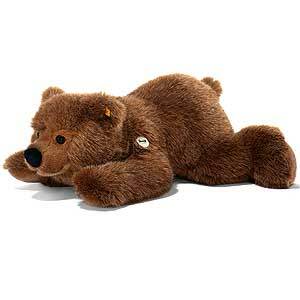 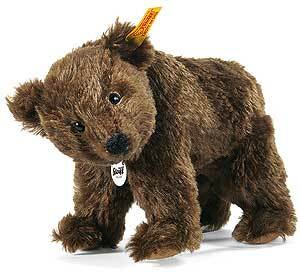 (We have displayed Steiff URS 60cm Brown Bear 070044 for historical archive reference only). 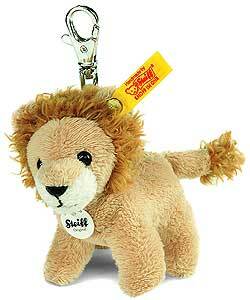 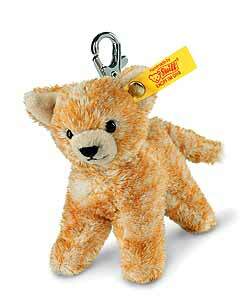 (We have displayed Steiff Cat Keyring 112089 for historical archive reference only). 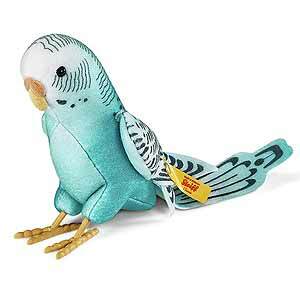 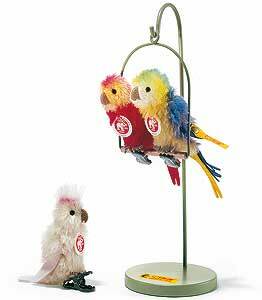 (We have displayed Franzi Classic Parakeet by Steiff 033520 for historical archive reference only). 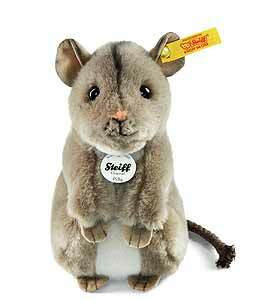 (We have displayed Steiff Goldy Hamster 071836 for historical archive reference only). 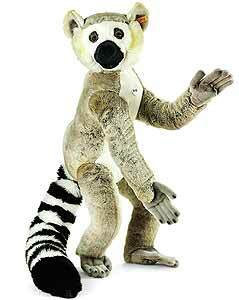 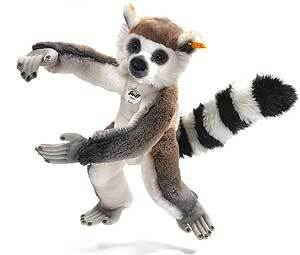 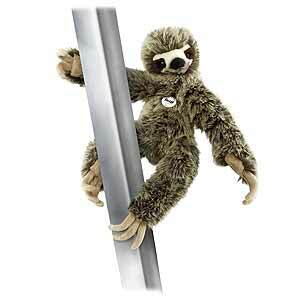 (We have displayed Steiff Lommy Magnetic Lemur 075858 for historical archive reference only). 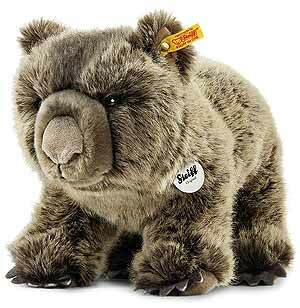 (We have displayed Steiff Womby Wombat 064951 for historical archive reference only). 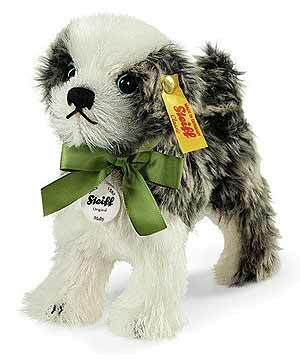 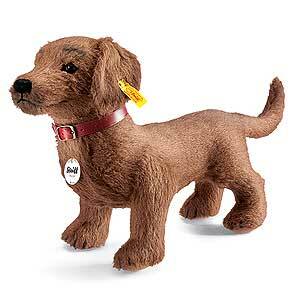 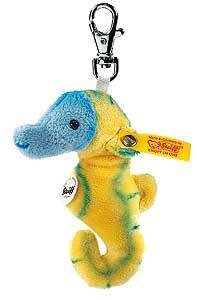 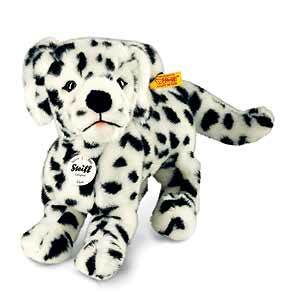 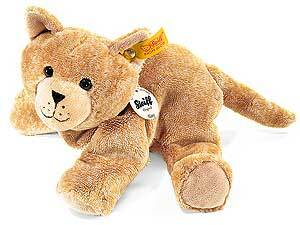 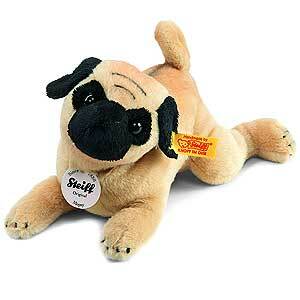 (We have displayed Steiff Sammy Little Puppy 083549 for historical archive reference only). 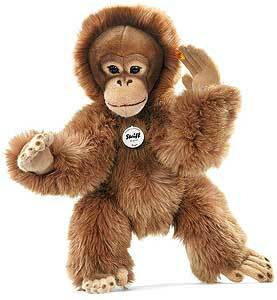 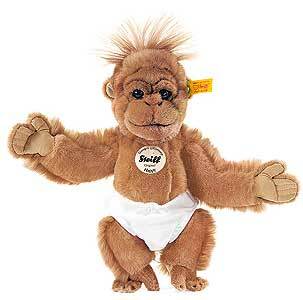 (We have displayed BONGO Dangling Orang-Utan by Steiff 064739 for historical archive reference only). 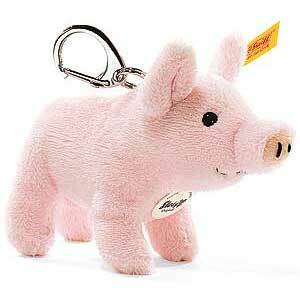 (We have displayed Piglet Keyring by Steiff 112034 for historical archive reference only). 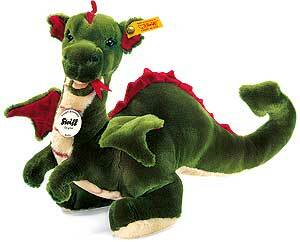 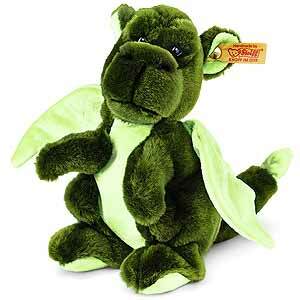 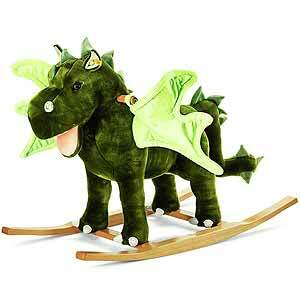 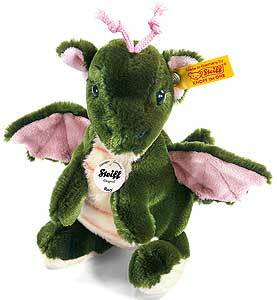 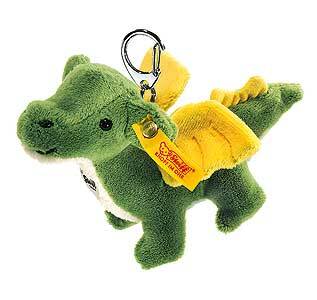 (We have displayed Steiff Rocky Riding Dragon 048890 for historical archive reference only). 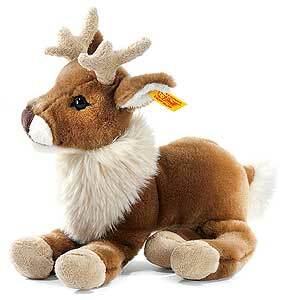 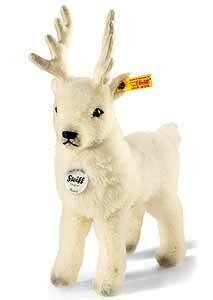 (We have displayed Steiff Renny Dangling Reindeer 113154 for historical archive reference only). 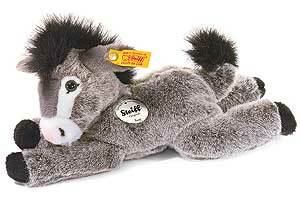 (We have displayed Steiff ISSY Donkey 282195 for historical archive reference only). 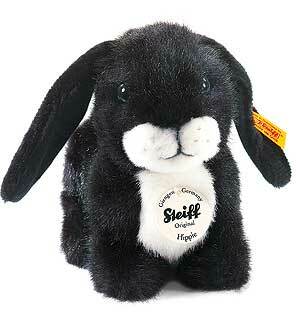 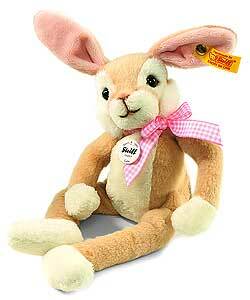 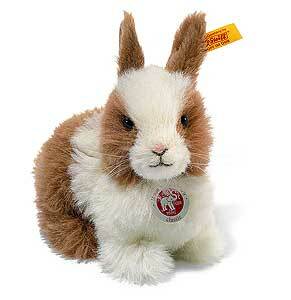 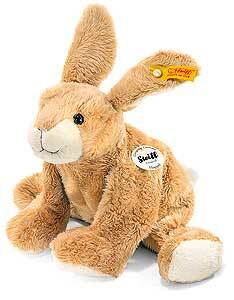 (We have displayed Steiff Mr Cupcake Rabbit 080227 for historical archive reference only). 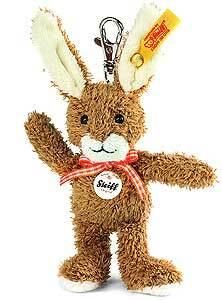 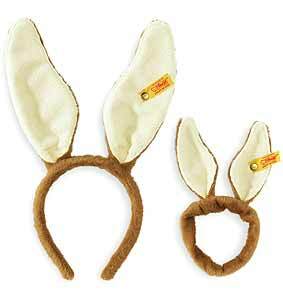 (We have displayed Steiff Rabbit Ears Set 606298 for historical archive reference only). 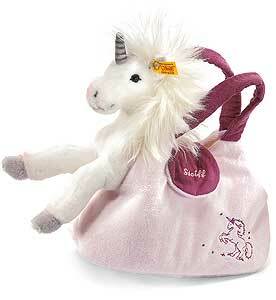 (We have displayed STARLY Unicorn play set by Steiff 015021 for historical archive reference only). 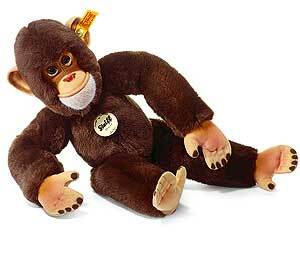 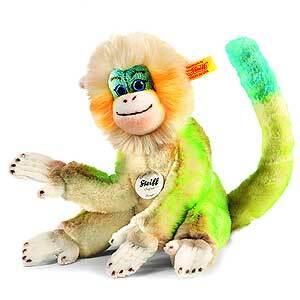 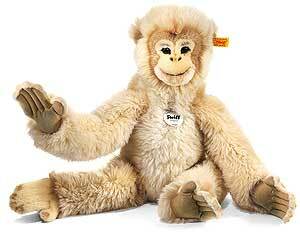 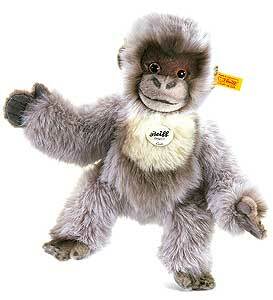 (We have displayed Steiff Classic LOMMY Dangling Katta Monkey - 064692 for historical archive reference only). 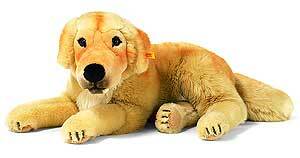 (We have displayed LUMPI Golden Retriever by Steiff 079795 for historical archive reference only). 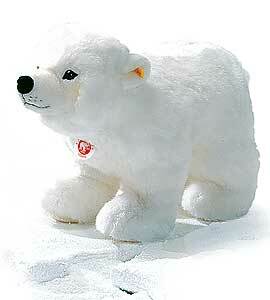 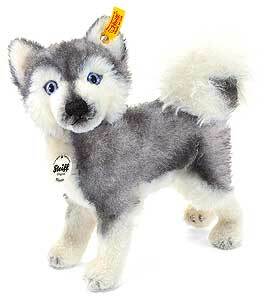 (We have displayed BERNIE Husky by Steiff 280078 for historical archive reference only). 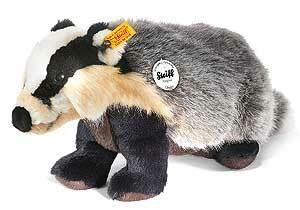 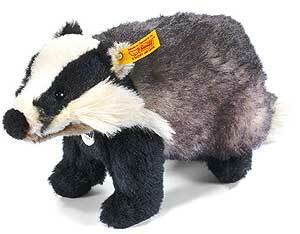 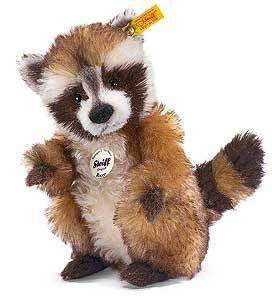 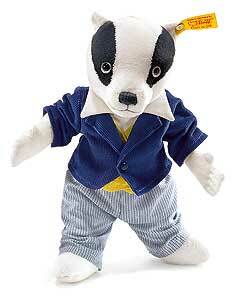 (We have displayed Steiff Bill Badger 017049 for historical archive reference only). 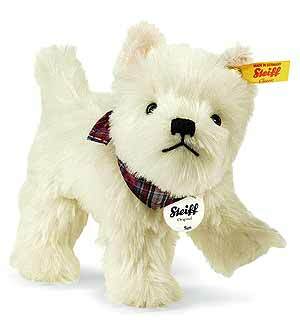 (We have displayed SAM West Highland Terrier by Steiff 076992 for historical archive reference only). 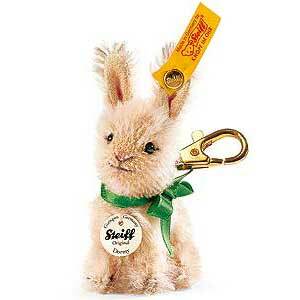 (We have displayed Steiff LULAC 30cm Dangling Rabbit 122460 for historical archive reference only). 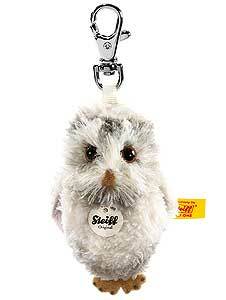 (We have displayed Steiff Studio Seal 501302 for historical archive reference only). 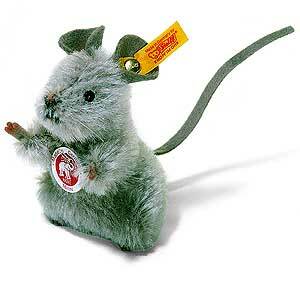 (We have displayed Steiff Pilla Mouse 056239 for historical archive reference only). 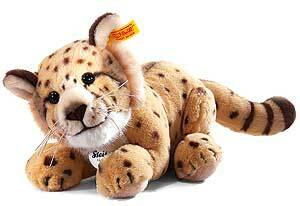 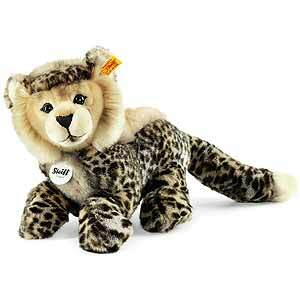 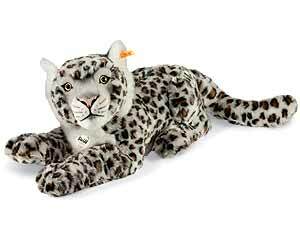 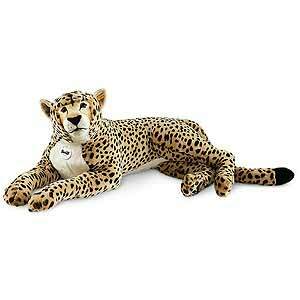 (We have displayed Steiff Dangling Baby Cheetah 064647 for historical archive reference only). 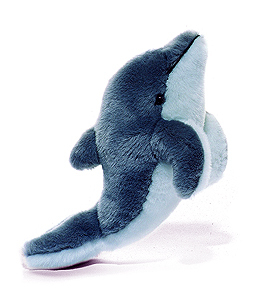 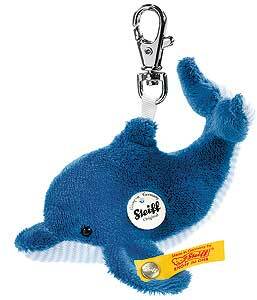 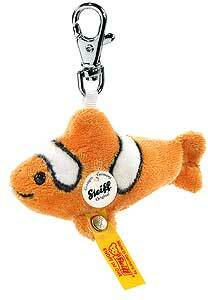 (We have displayed CLIPPY Dolphin Keyring by Steiff 112225 for historical archive reference only). 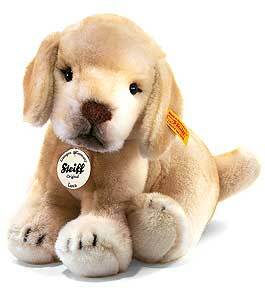 (We have displayed Steiff Lumpi Golden Retriever Puppy - 22cm 280375 for historical archive reference only). 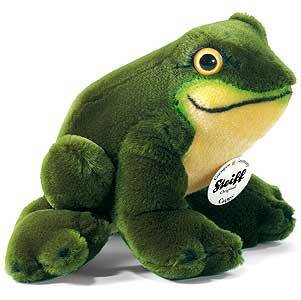 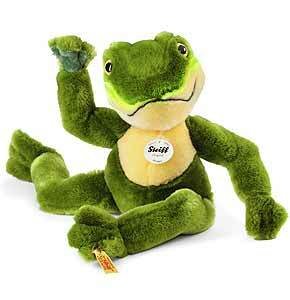 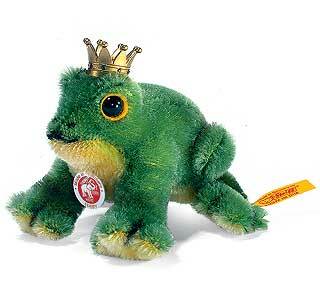 (We have displayed Steiff Froggy Dangling Frog 064586 for historical archive reference only). 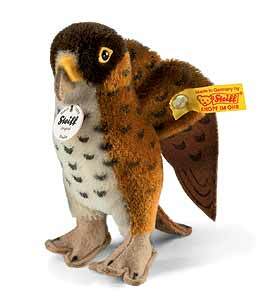 (We have displayed Freddie Classic Hawk by Steiff 033117 for historical archive reference only). 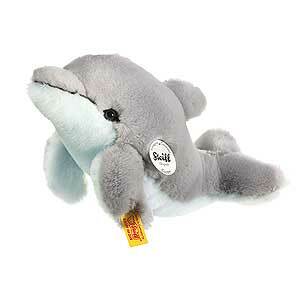 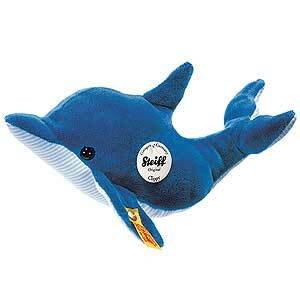 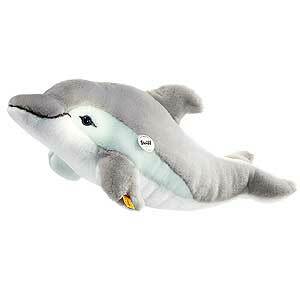 (We have displayed CLIPPY Dolphin by Steiff 063442 for historical archive reference only). 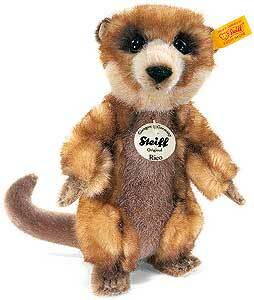 (We have displayed ROCCO Mamoth by Steiff 072185 for historical archive reference only). 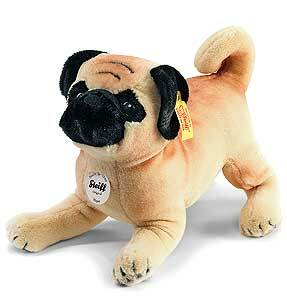 (We have displayed Mopsy Pug Dog by Steiff 281419 for historical archive reference only). 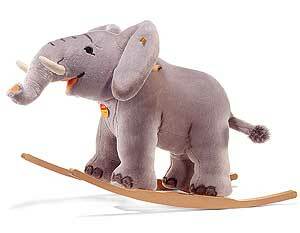 (We have displayed TRAMPILI Riding Elephant by Steiff 048944 for historical archive reference only). 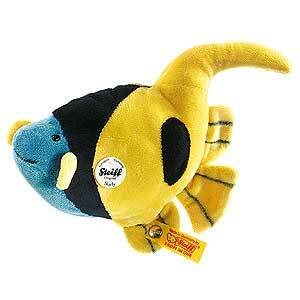 (We have displayed STARLY Heniochus Fish by Steiff 121883 for historical archive reference only). 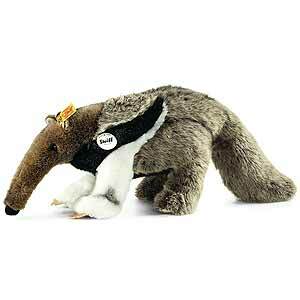 (We have displayed Steiff Andy Anteater 069574 for historical archive reference only). 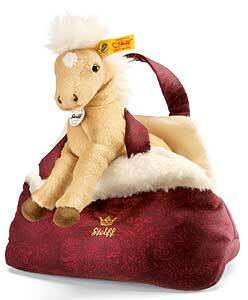 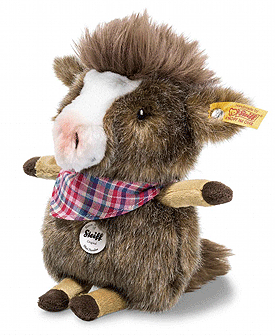 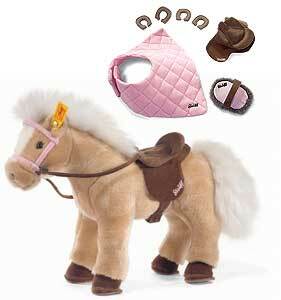 (We have displayed Steiff Franzi Haflinger With Bag - 20cm 070488 for historical archive reference only). 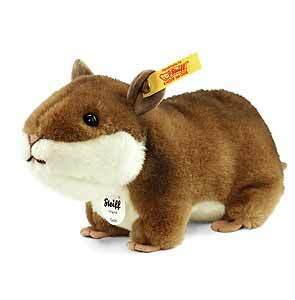 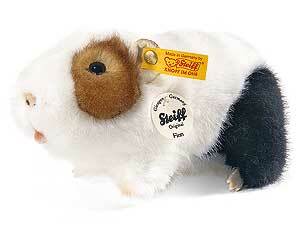 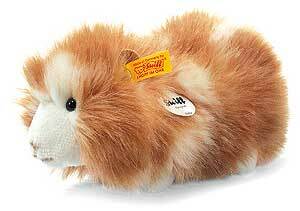 (We have displayed FINN Guinea Pig by Steiff 270130 for historical archive reference only). 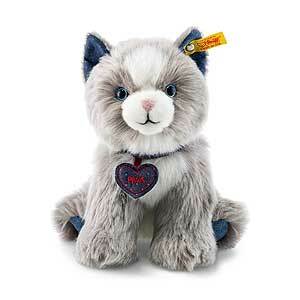 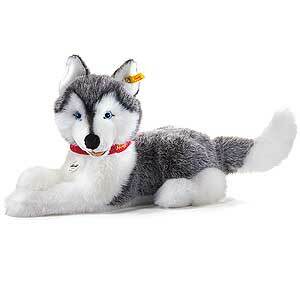 (We have displayed BERNIE Husky by Steiff 104954 for historical archive reference only). 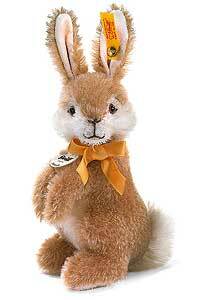 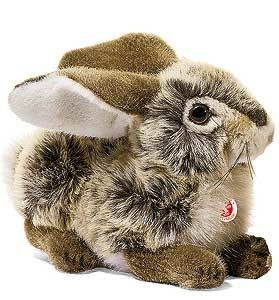 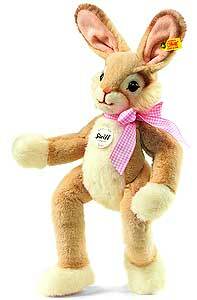 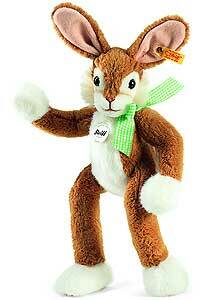 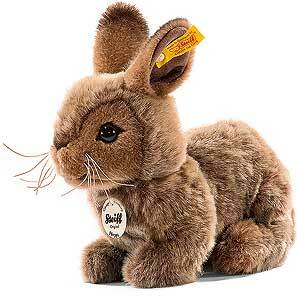 (We have displayed POPPEL 15cm Brown Rabbit by Steiff 080005 for historical archive reference only). 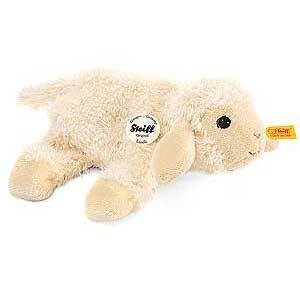 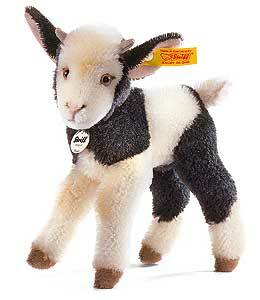 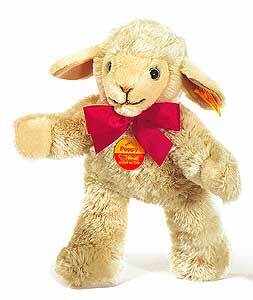 (We have displayed LAMBY Lamb by Steiff 073205 for historical archive reference only). 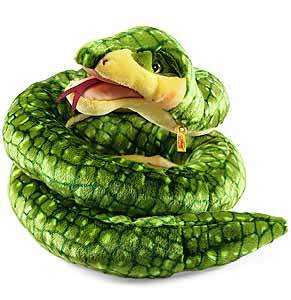 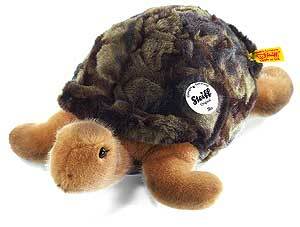 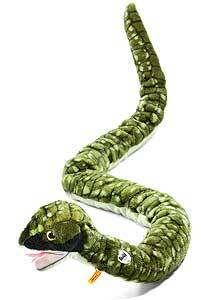 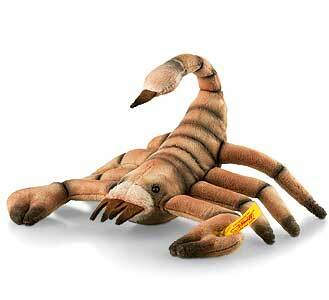 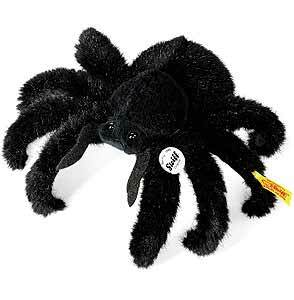 (We have displayed BILLY Snake by Steiff 095368 for historical archive reference only). 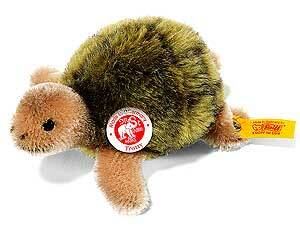 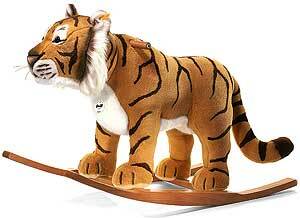 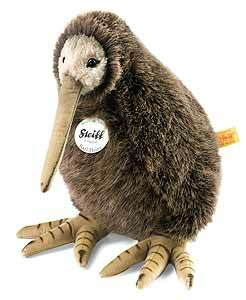 (We have displayed Steiff Karl Heinz Kiwi 060397 for historical archive reference only). 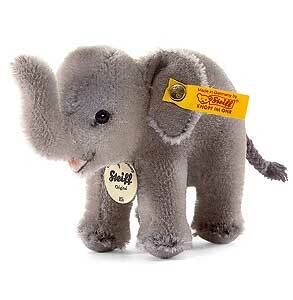 (We have displayed TRAMPILI 24cm Elephant by Steiff 064395 for historical archive reference only). 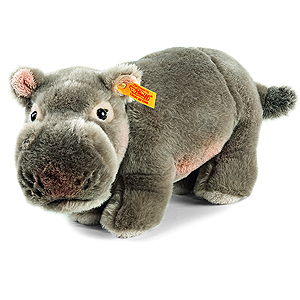 (We have displayed Mocky Hippopotamus by Steiff 063596 for historical archive reference only). 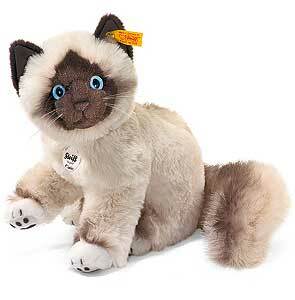 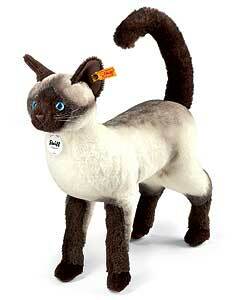 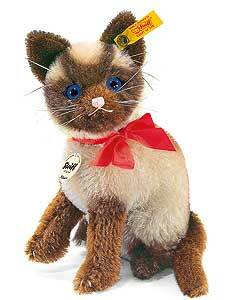 (We have displayed CATTIE Sacred Birman Cat by Steiff 099458 for historical archive reference only). 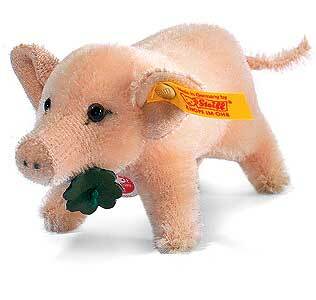 (We have displayed SISSI Piglet by Steiff 071874 for historical archive reference only). 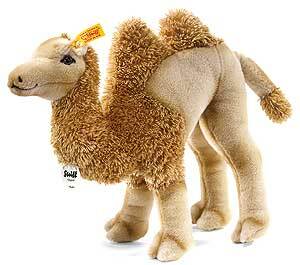 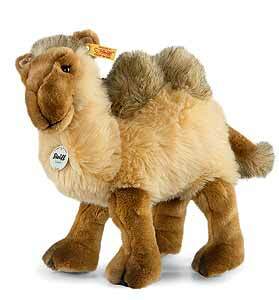 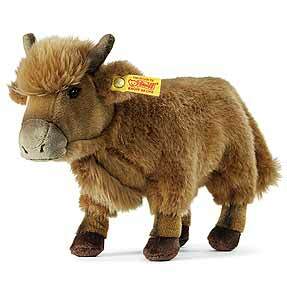 (We have displayed HUCKY Dangling Camel by Steiff 104169 for historical archive reference only). 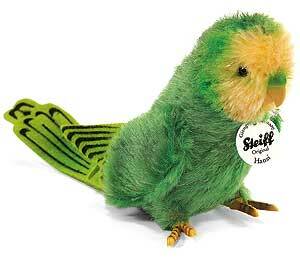 (We have displayed HANSI Parakeet by Steiff 033308 for historical archive reference only). 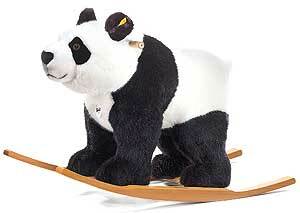 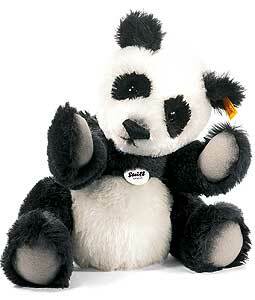 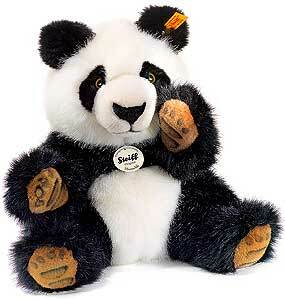 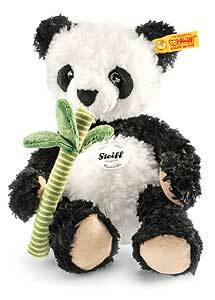 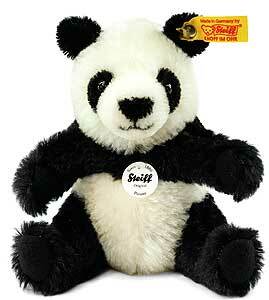 (We have displayed MANSCHLI 18cm Panda by Steiff 064784 for historical archive reference only). 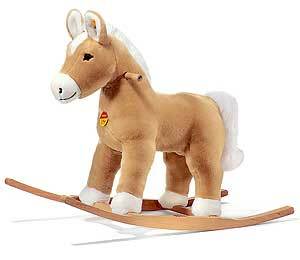 (We have displayed FENNY Holsteiner Horse by Steiff 070747 for historical archive reference only). 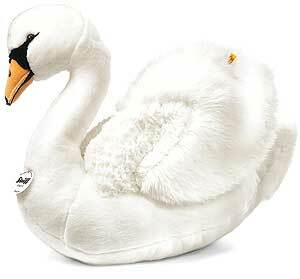 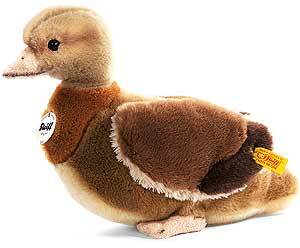 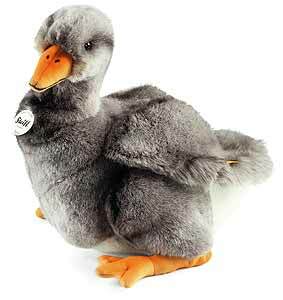 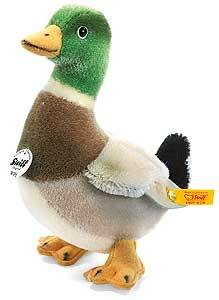 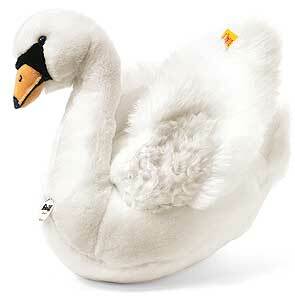 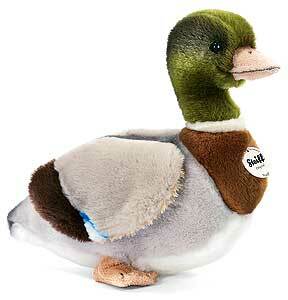 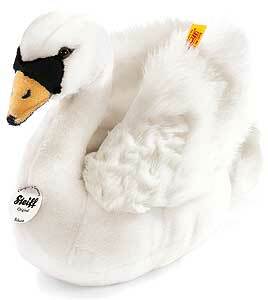 (We have displayed TULLA Duck by Steiff 073328 for historical archive reference only). 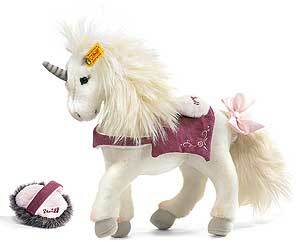 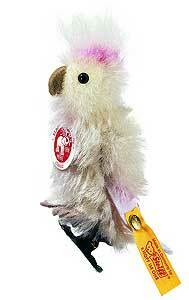 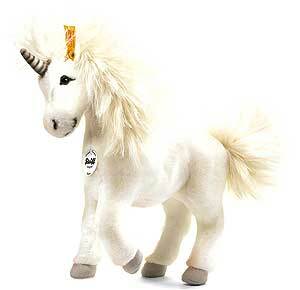 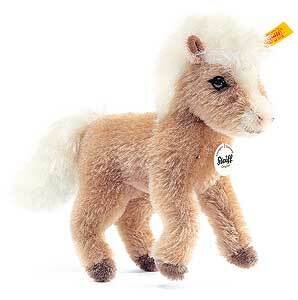 (We have displayed STARLY Unicorn by Steiff 015007 for historical archive reference only). 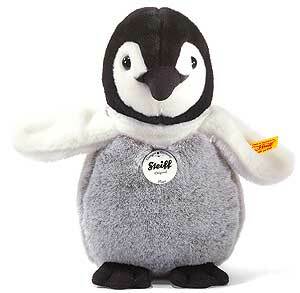 (We have displayed LARI Baby Penguin by Steiff 045660 for historical archive reference only). 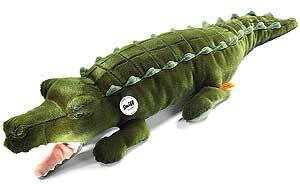 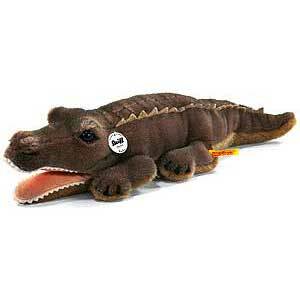 (We have displayed KROKO Crocodile by Steiff 085567 for historical archive reference only). 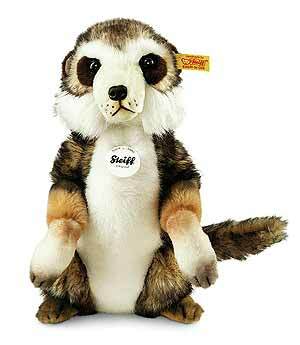 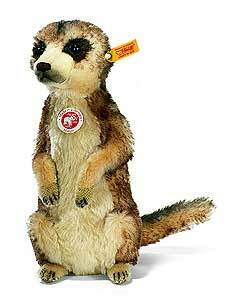 (We have displayed RICO Meercat by Steiff 064425 for historical archive reference only). 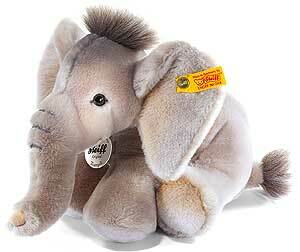 (We have displayed ELI Mohair Elephant by Steiff 040498 for historical archive reference only). 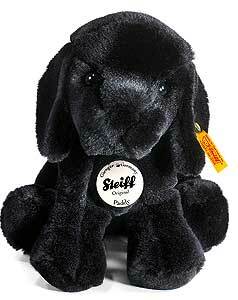 (We have displayed Mopsy Dog by Steiff 035067 for historical archive reference only). 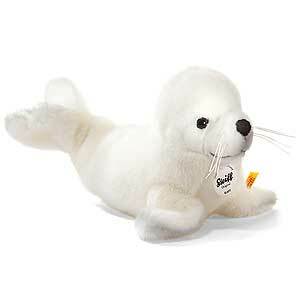 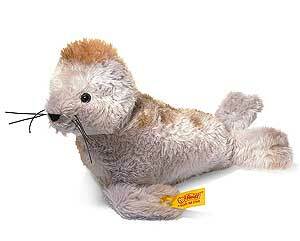 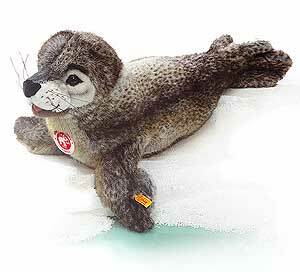 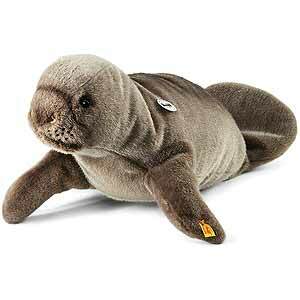 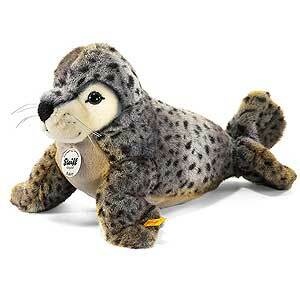 (We have displayed ROBBY Seal by Steiff 063084 for historical archive reference only). 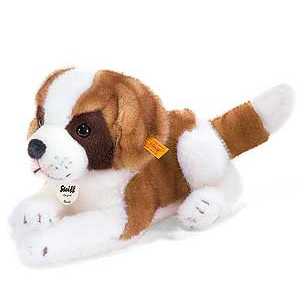 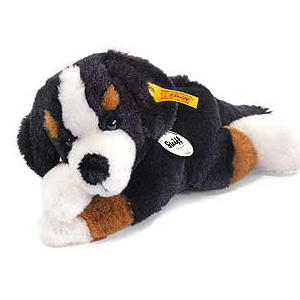 (We have displayed BENNY Saint Bernard Puppy by Steiff 280238 for historical archive reference only). 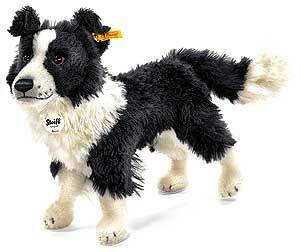 (We have displayed BENNY Border Collie by Steiff 035029 for historical archive reference only). 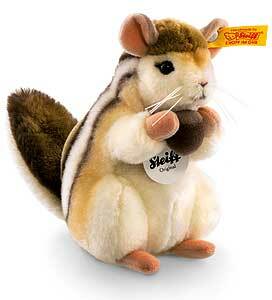 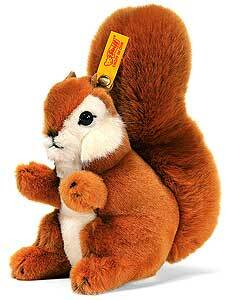 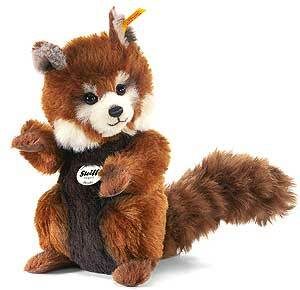 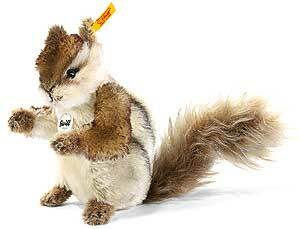 (We have displayed KECKI Chipmunk by Steiff 070969 for historical archive reference only). 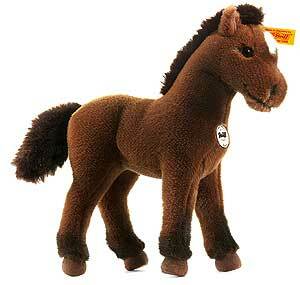 (We have displayed NIKI Horse by Steiff 280108 for historical archive reference only). 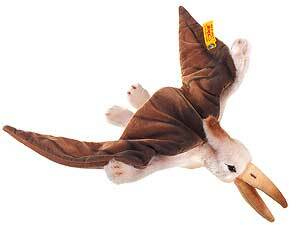 (We have displayed Pteranodon by Steiff 066856 for historical archive reference only). 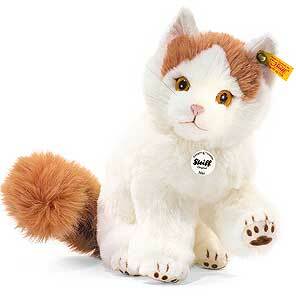 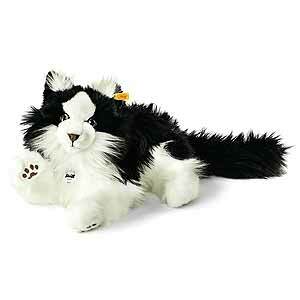 (We have displayed Steiff Norwegian Forest Cat 035852 for historical archive reference only). 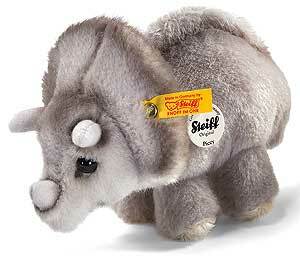 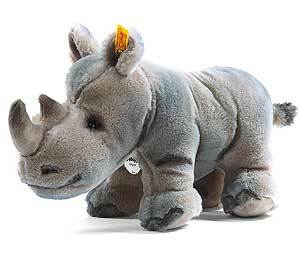 (We have displayed PICCY baby Triceratops by Steiff 066771 for historical archive reference only). 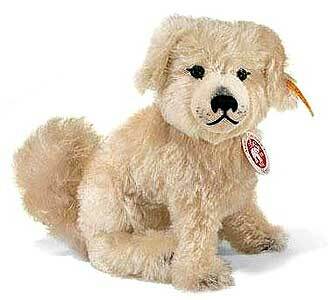 (We have displayed LUCA Labrador Puppy by Steiff 079436 for historical archive reference only). 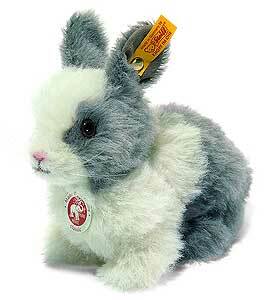 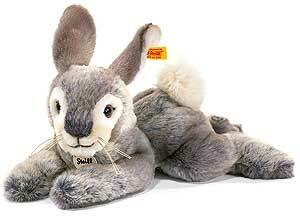 (We have displayed DORMILI 32cm Grey Rabbit by Steiff 080043 for historical archive reference only). 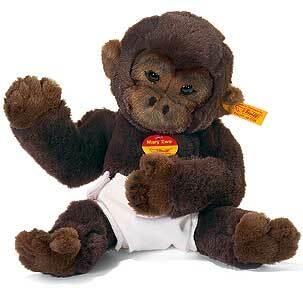 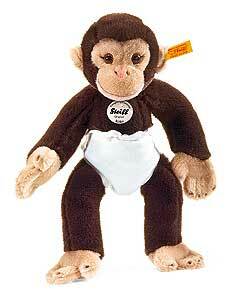 (We have displayed KOKO Baby Chimpanzee by Steiff 064715 for historical archive reference only). 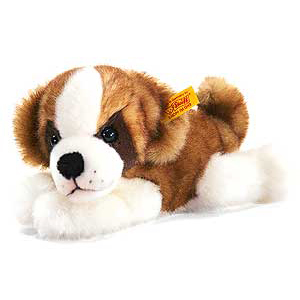 (We have displayed LUCA Labrador Puppy by Steiff 280252 for historical archive reference only). 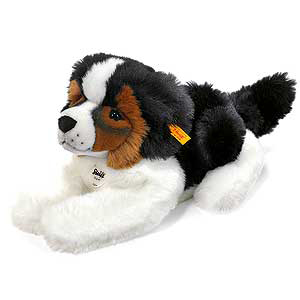 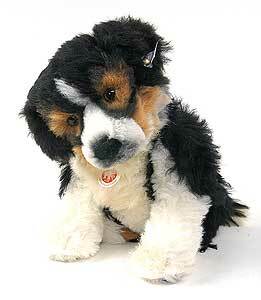 (We have displayed SIGGI Bernese Mountain Dog Puppy by Steiff 280276 for historical archive reference only). 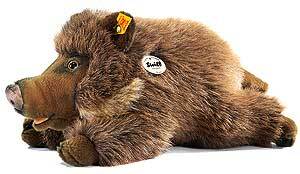 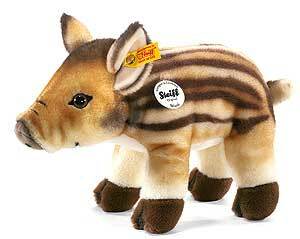 (We have displayed WUTZI Wild Boar by Steiff 280115 for historical archive reference only). 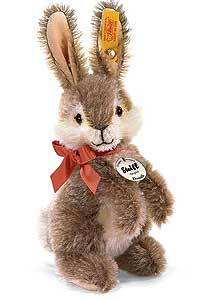 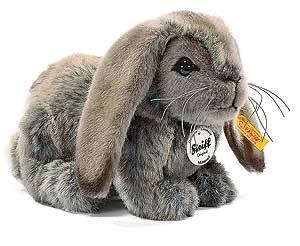 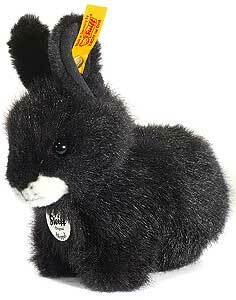 (We have displayed POPPEL 15cm Grey Rabbit by Steiff 080098 for historical archive reference only). 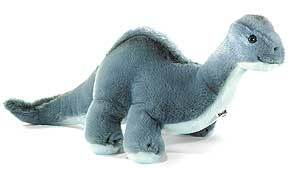 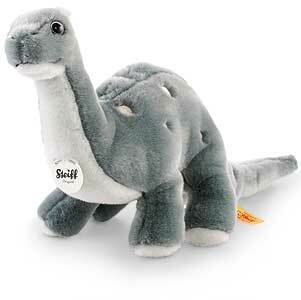 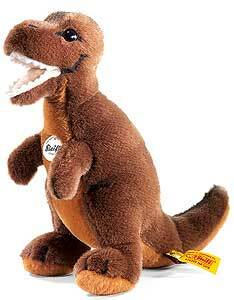 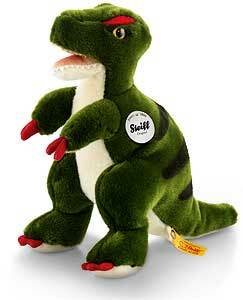 (We have displayed Diplodocus by Steiff 066825 for historical archive reference only). 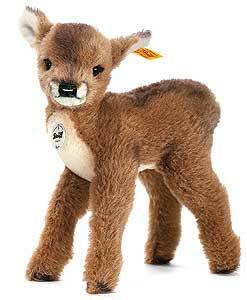 (We have displayed JONA Dangling Elk by Steiff 064609 for historical archive reference only). 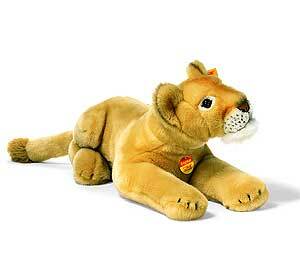 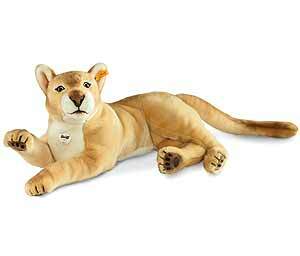 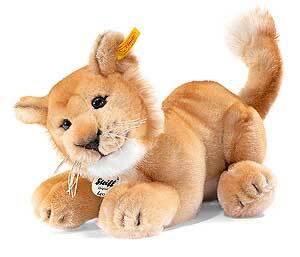 (We have displayed LEO Baby Lion by Steiff 064456 for historical archive reference only). 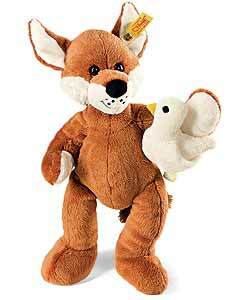 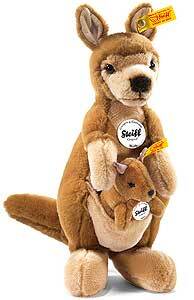 (We have displayed WALLY Kangaroo with Willy by Steiff 064630 for historical archive reference only). 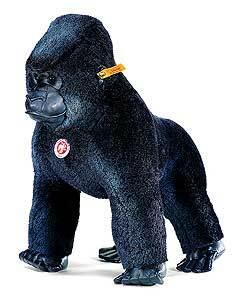 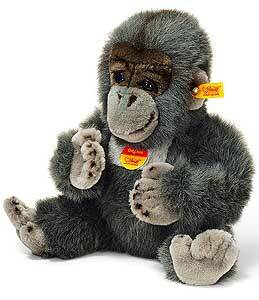 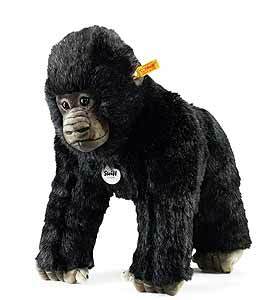 (We have displayed GORI Gorilla by Steiff 062063 for historical archive reference only). 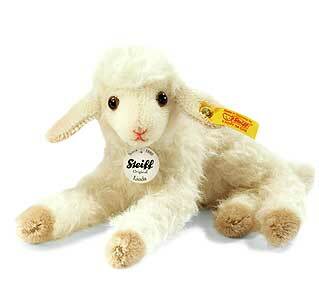 (We have displayed LINDA Dangling Lamb by Steiff 123078 for historical archive reference only). 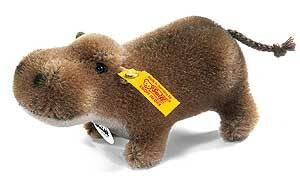 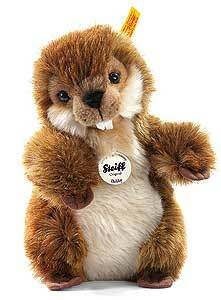 (We have displayed BOBBY Beaver by Steiff 071652 for historical archive reference only). 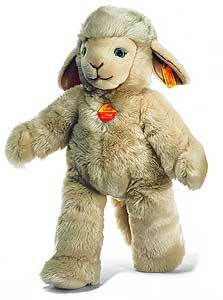 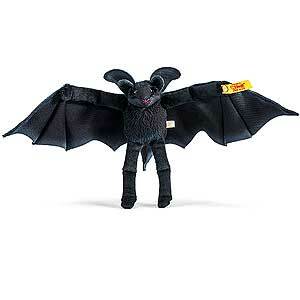 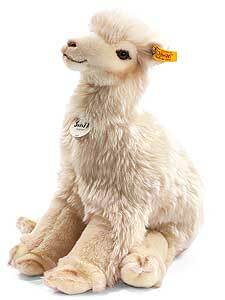 (We have displayed LUZIE Lamb by Steiff 280047 for historical archive reference only). 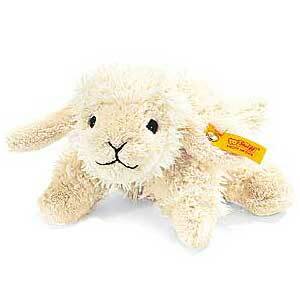 (We have displayed Mini Floppy LINDA Lamb 16cm by Steiff 281303 for historical archive reference only). 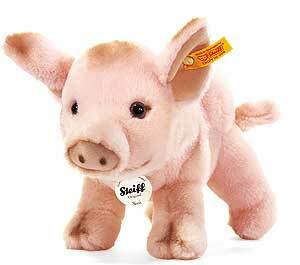 (We have displayed Little Floppy SISSI Piglet by Steiff 281044 for historical archive reference only). 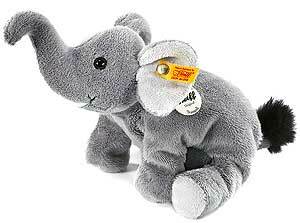 (We have displayed Mini Floppy Trampili Elephant by Steiff 281365 for historical archive reference only). 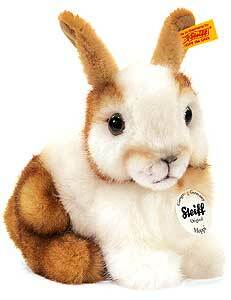 (We have displayed Little Floppy HOPPEL Rabbit 24cm by Steiff 281013 for historical archive reference only). 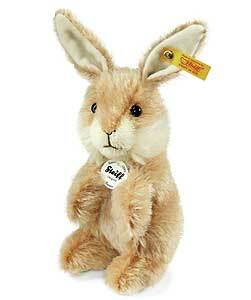 (We have displayed Mini Floppy HOPPEL Rabbit 16cm by Steiff 281310 for historical archive reference only). 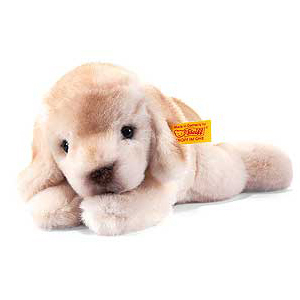 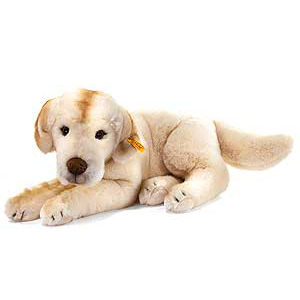 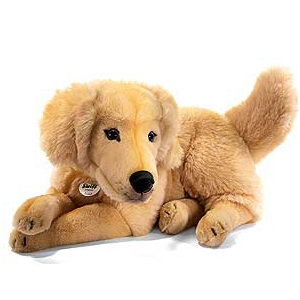 (We have displayed Little Floppy LUMPI Golden Retriever Puppy by Steiff 281099 for historical archive reference only). 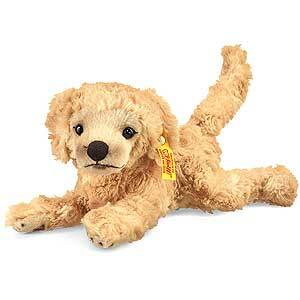 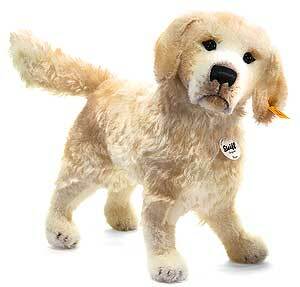 (We have displayed Mini Floppy LUMPI Golden Retriever Puppy by Steiff 281358 for historical archive reference only). 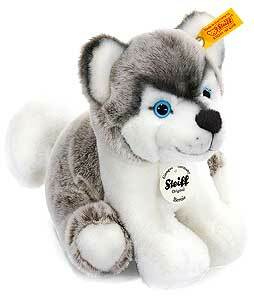 (We have displayed Mini Floppy Bernie Husky by Steiff 281372 for historical archive reference only). 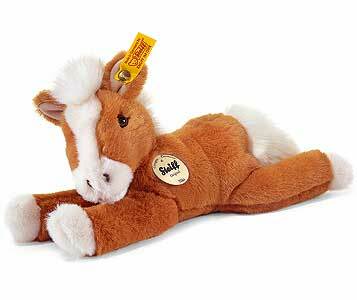 (We have displayed HANNO Hanoverian Foal by Steiff 070693 for historical archive reference only). 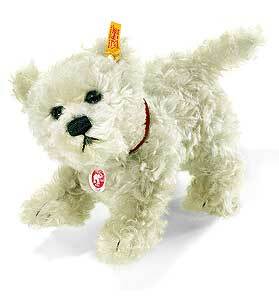 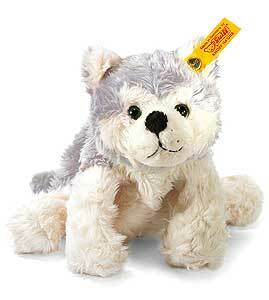 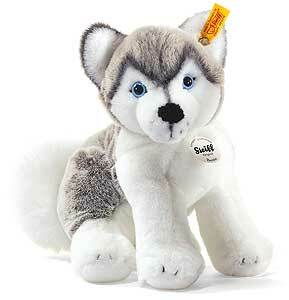 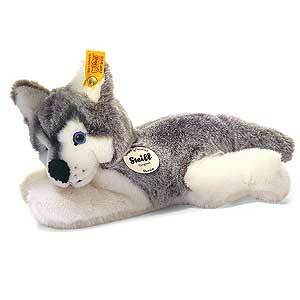 (We have displayed BERNIE Husky Puppy by Steiff 079467 for historical archive reference only). 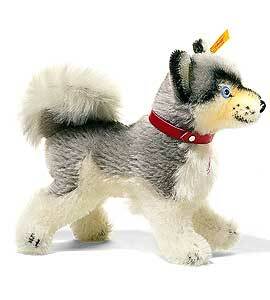 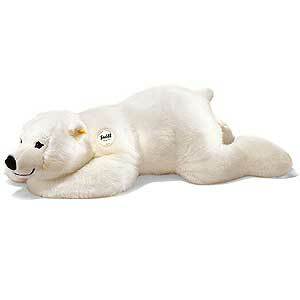 (We have displayed HASSO Husky by Steiff 031779 for historical archive reference only). 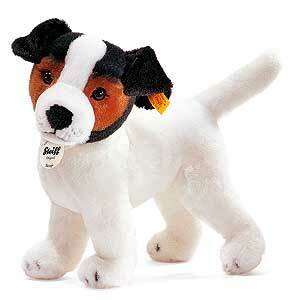 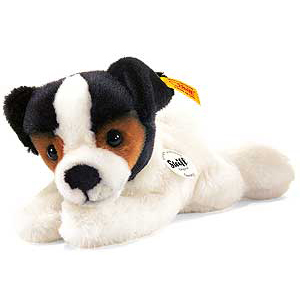 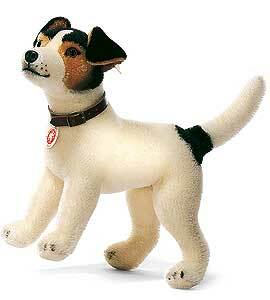 (We have displayed HEXIE Jack Russell Terrier by Steiff 031731 for historical archive reference only). 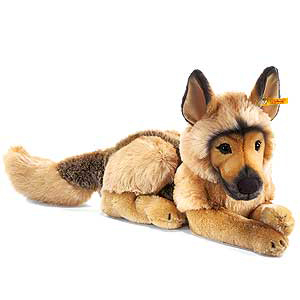 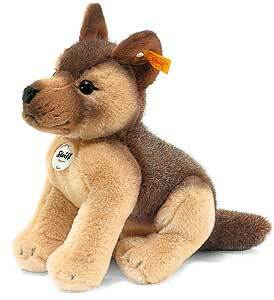 (We have displayed LARS German Shepherd Puppy by Steiff 083747 for historical archive reference only). 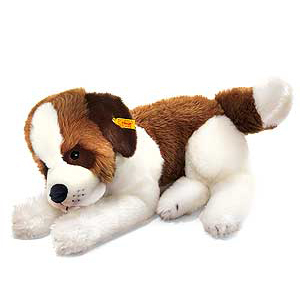 (We have displayed BENNY Saint Bernard by Steiff 079719 for historical archive reference only). 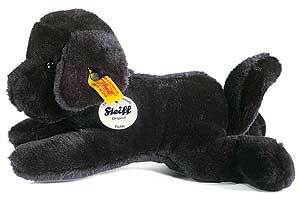 (We have displayed PADDY Labrador by Steiff 078897 for historical archive reference only). 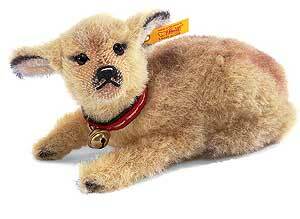 (We have displayed LUCA Labrador Puppy by Steiff 079429 for historical archive reference only). 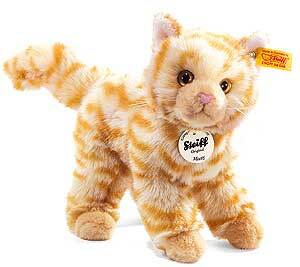 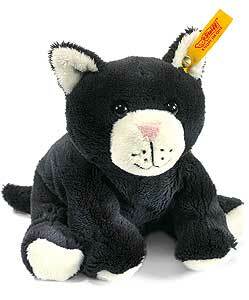 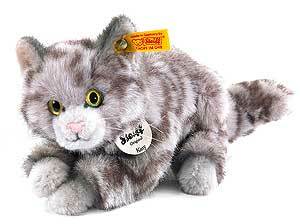 (We have displayed MIZZY Cat by Steiff 099427 for historical archive reference only). 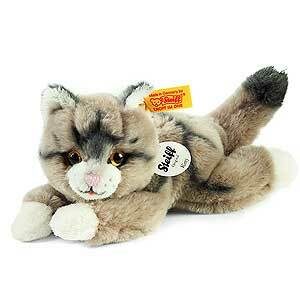 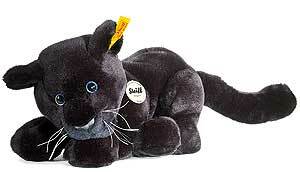 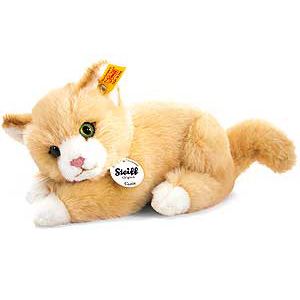 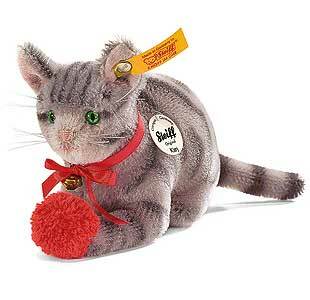 (We have displayed CATTIE Cat by Steiff 099373 for historical archive reference only). 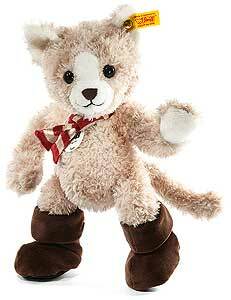 (We have displayed KOKO Cat by Steiff 099380 for historical archive reference only). 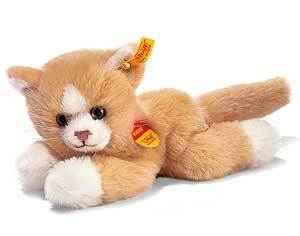 (We have displayed Mini Floppy KITTY Cat by Steiff 281334 for historical archive reference only). 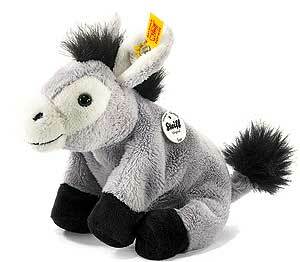 (We have displayed ISSY Mini Floppy Donkey by Steiff 281440 for historical archive reference only). 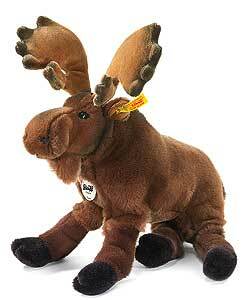 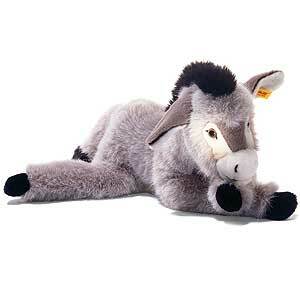 (We have displayed ISSY 45cm Donkey by Steiff 101991 for historical archive reference only). 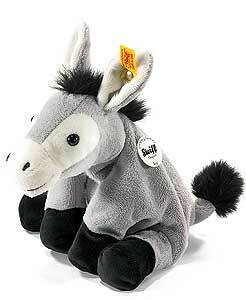 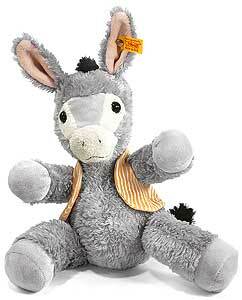 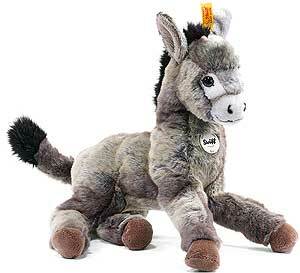 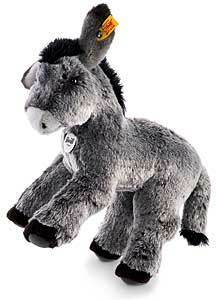 (We have displayed ISSY 60cm Donkey by Steiff 102004 for historical archive reference only). 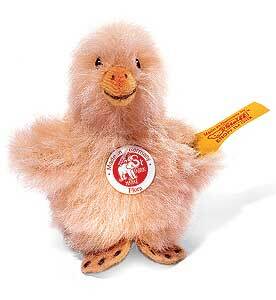 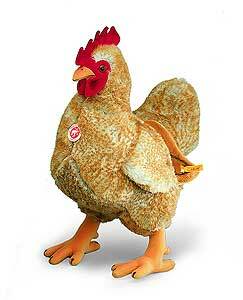 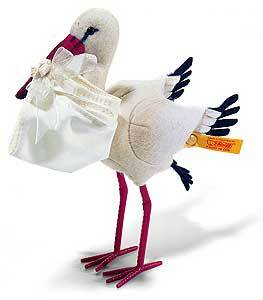 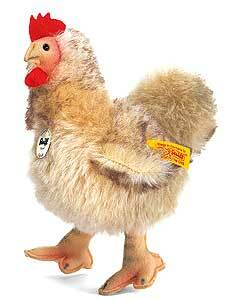 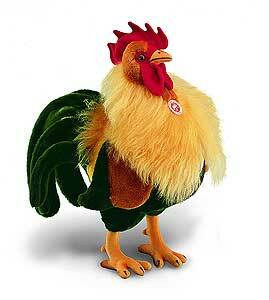 (We have displayed SIGLINDE Chicken by Steiff 075636 for historical archive reference only). 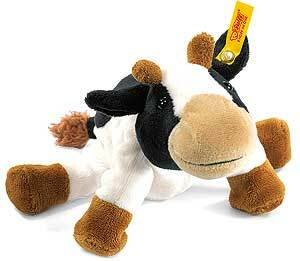 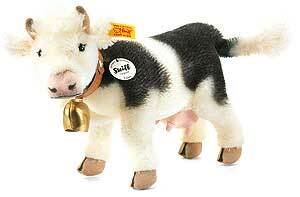 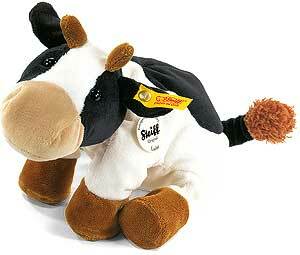 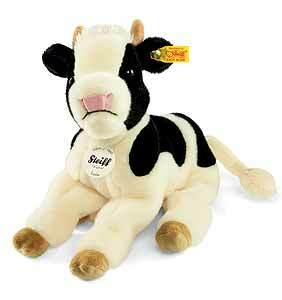 (We have displayed LUISE Cow by Steiff 072833 for historical archive reference only). 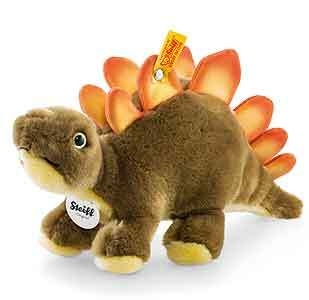 (We have displayed Stegosaurus by Steiff 066832 for historical archive reference only). 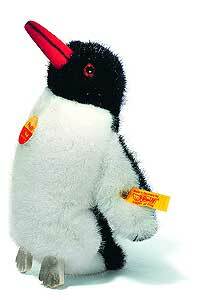 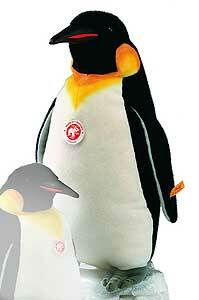 (We have displayed HIPPIE Penguin by Steiff 045677 for historical archive reference only). 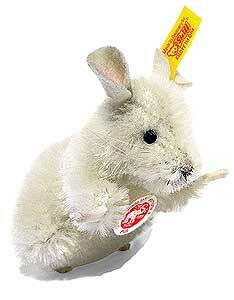 (We have displayed FLOCKY Arctic Hare by Steiff 104992 for historical archive reference only). 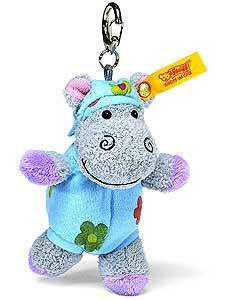 (We have displayed MOCKY Hippo by Steiff 041143 for historical archive reference only). 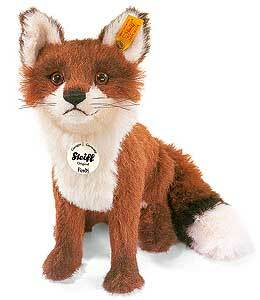 (We have displayed FERDY Fox by Steiff 070419 for historical archive reference only). 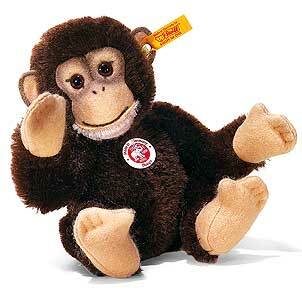 (We have displayed JOCKO Chimpanzee by Steiff 060311 for historical archive reference only). 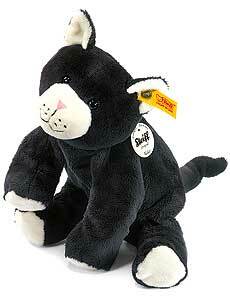 (We have displayed BONBO Baby Panther by Steiff 064555 for historical archive reference only). 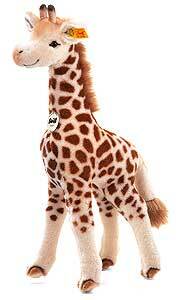 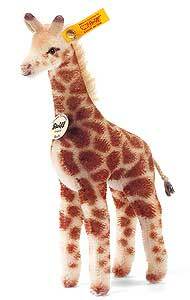 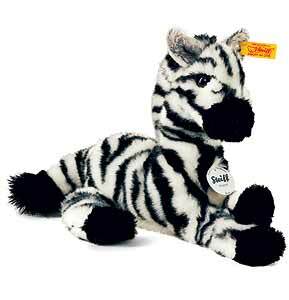 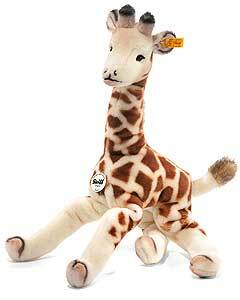 (We have displayed BENDY Giraffe by Steiff 041990 for historical archive reference only). 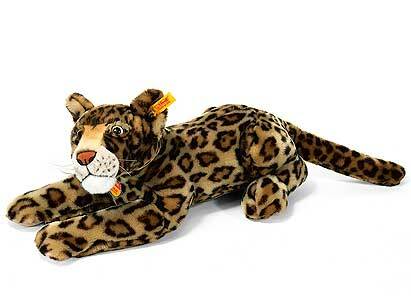 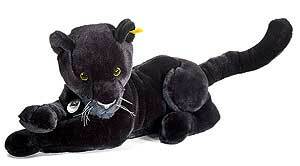 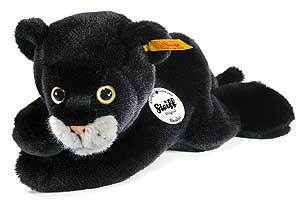 (We have displayed BONBO Panther by Steiff 064548 for historical archive reference only). 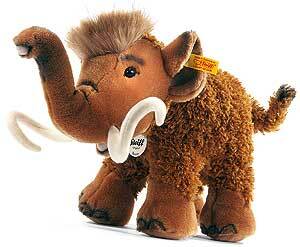 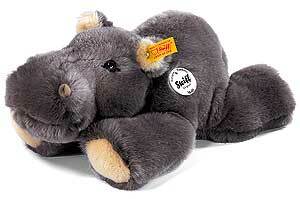 (We have displayed Steiff TRAMPILI 30cm Elephant - 064562 for historical archive reference only). 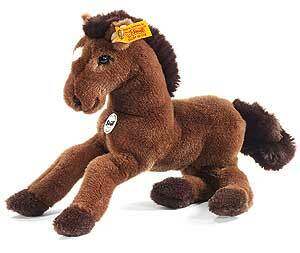 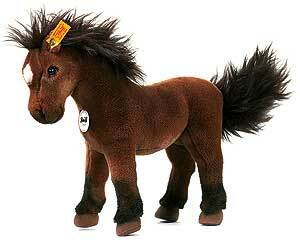 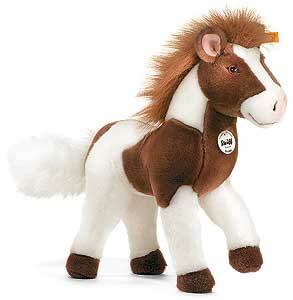 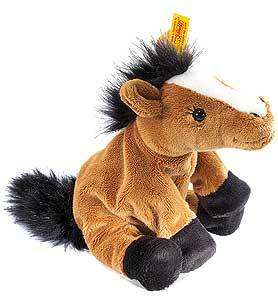 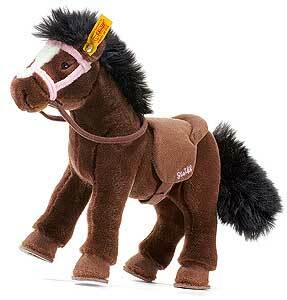 (We have displayed Steiff FENNY Irish Tinker's Pony 070396 for historical archive reference only). 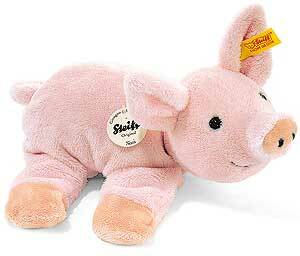 (We have displayed Steiff SISSI 26cm Piglet 071867 for historical archive reference only). 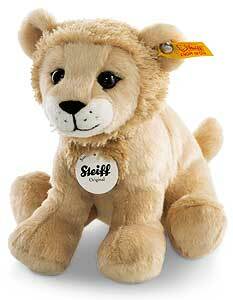 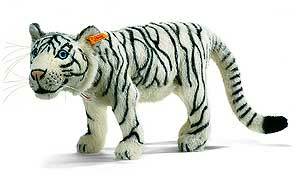 (We have displayed Steiff PADDY Lion 066672 for historical archive reference only). 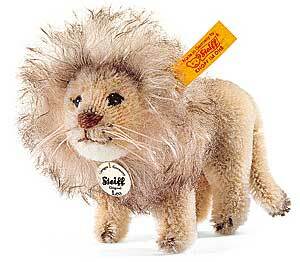 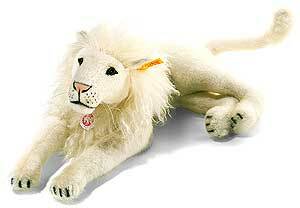 (We have displayed Steiff LEO Lion 040832 for historical archive reference only). 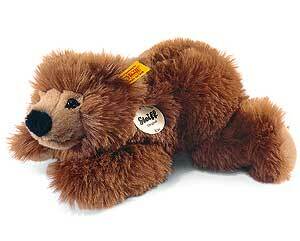 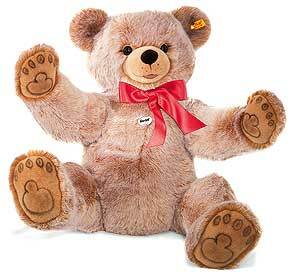 (We have displayed Steiff Studio Bobby Bear - 500428 for historical archive reference only). 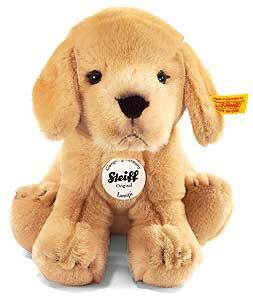 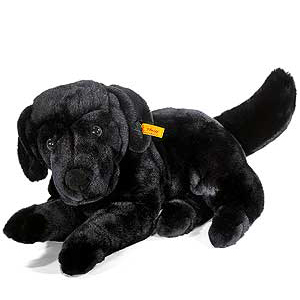 (We have displayed Steiff PADDY Labrador Puppy - 280184 for historical archive reference only). 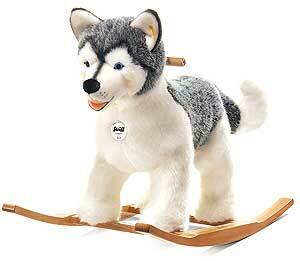 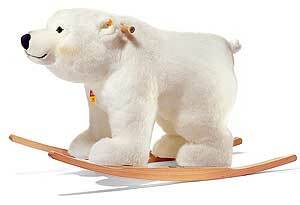 (We have displayed Steiff BERNIE Riding Husky - 048968 for historical archive reference only). 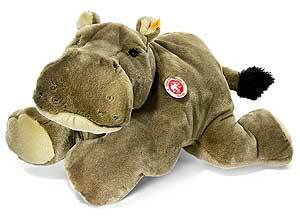 (We have displayed Steiff MOCKY 32cm Hippopotamus - 085482 for historical archive reference only). 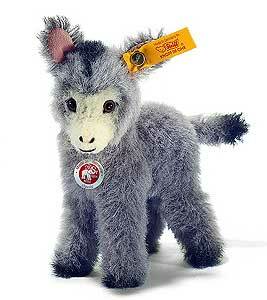 (We have displayed Steiff Alpaca Donkey 052866 for historical archive reference only). 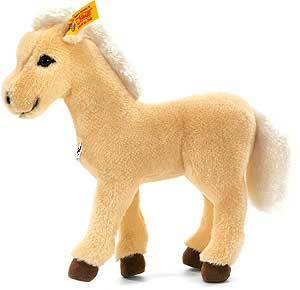 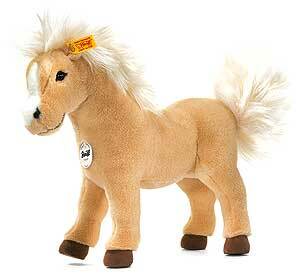 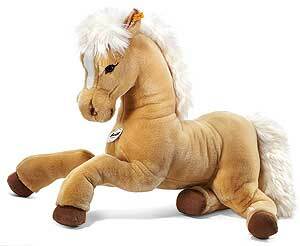 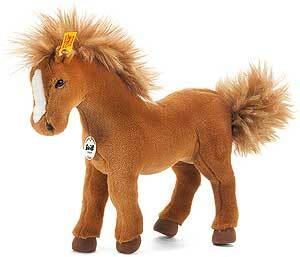 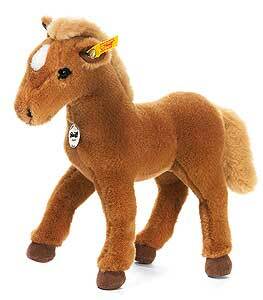 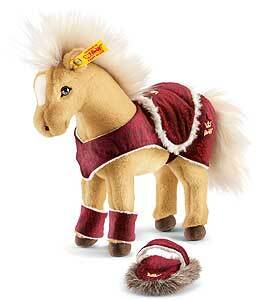 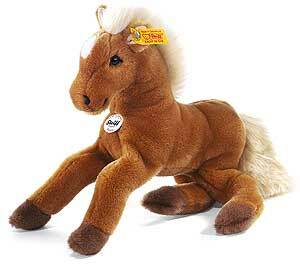 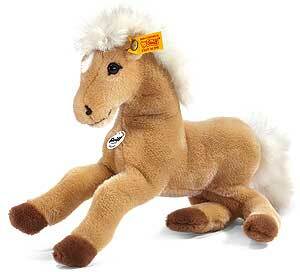 (We have displayed Steiff HAFLINGER Pony 033407 for historical archive reference only). 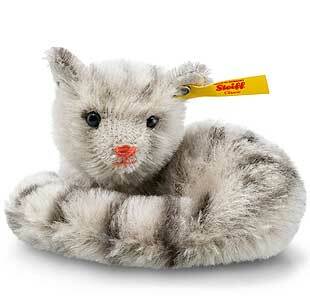 (We have displayed Steiff Mini Floppy KOKO cat 281402 for historical archive reference only). 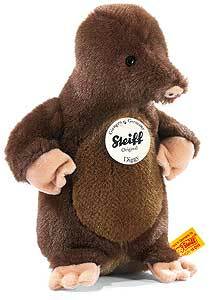 (We have displayed Steiff PIFF Mouse - 032134 for historical archive reference only). 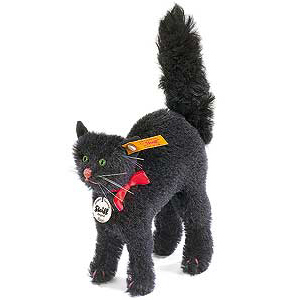 (We have displayed Steiff LUZIE Cat 270161 for historical archive reference only). 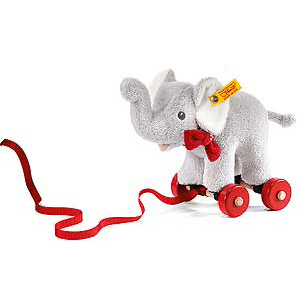 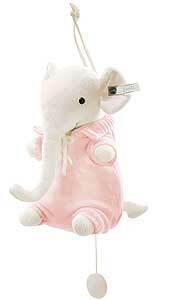 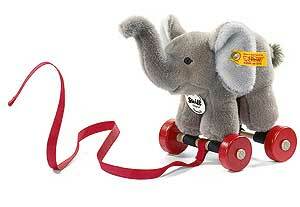 (We have displayed Steiff TRAMPILI Pull Along Elephant 048784 for historical archive reference only). 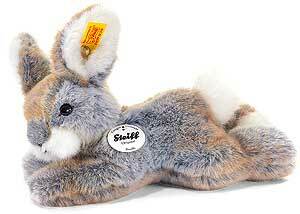 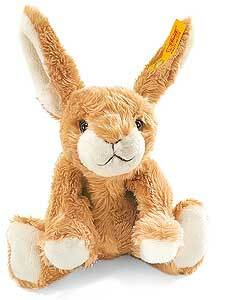 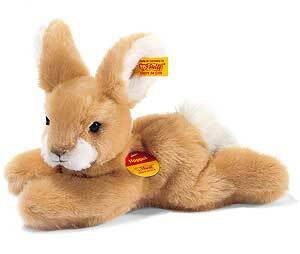 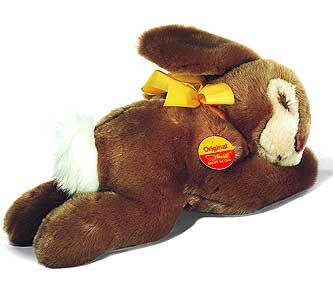 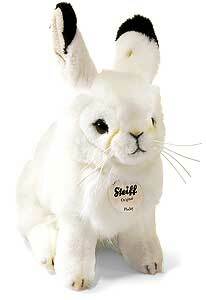 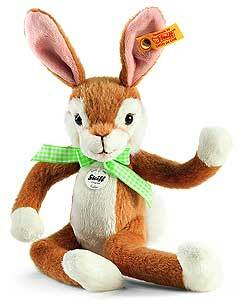 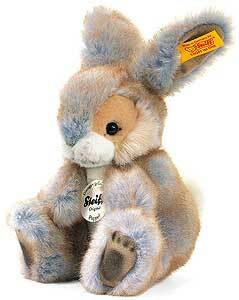 (We have displayed Steiff Sleepy Cream Rabbit 082443 for historical archive reference only). 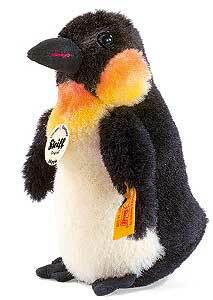 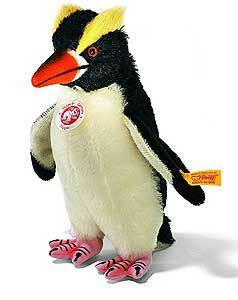 (We have displayed Steiff HIPPIE mohair penguin 064531 for historical archive reference only). 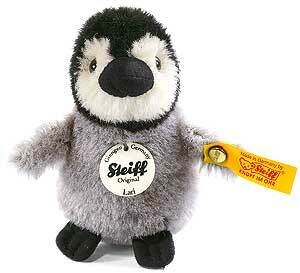 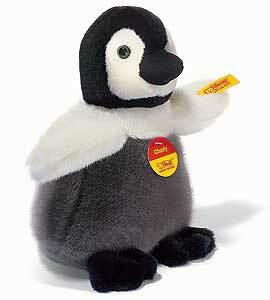 (We have displayed Steiff FLAPS 26cm Baby Penguin - 057120 for historical archive reference only). 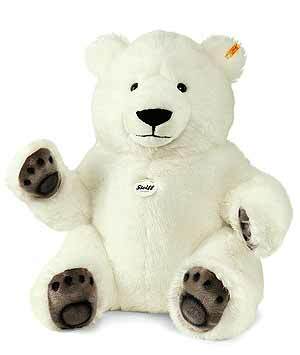 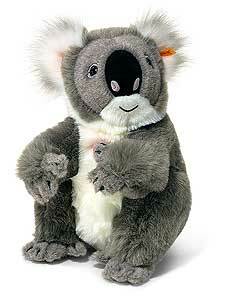 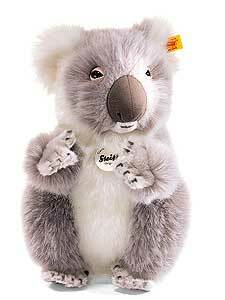 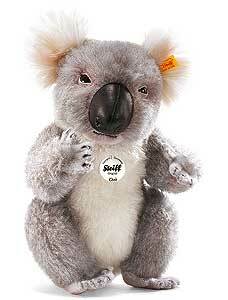 (We have displayed Steiff Cosy Koala bear 060816 for historical archive reference only). 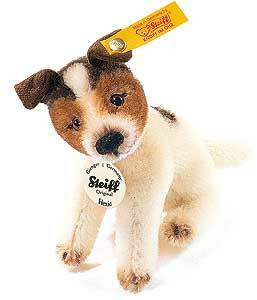 (We have displayed Steiff miniature dog displayer 031410 for historical archive reference only). 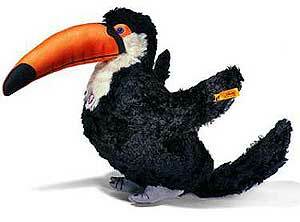 (We have displayed Steiff Tulla mohair Toucan 064708 for historical archive reference only). 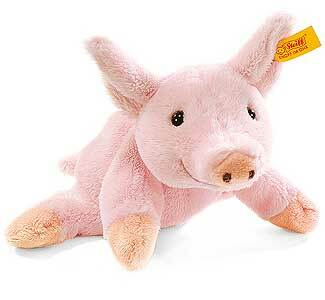 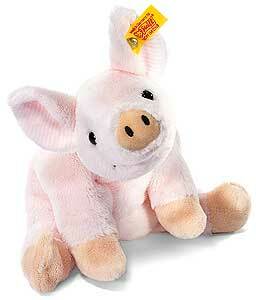 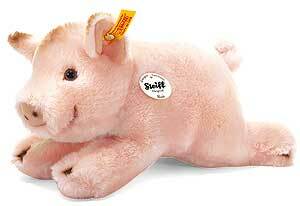 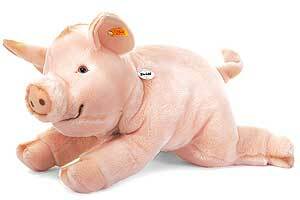 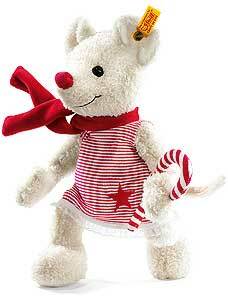 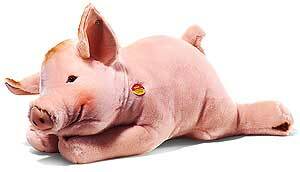 (We have displayed Steiff SISSI Piglet - 105364 for historical archive reference only). 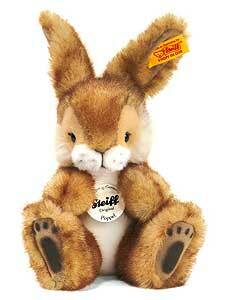 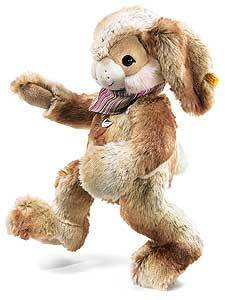 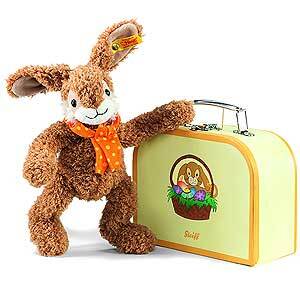 (We have displayed Steiff DORMILI Rabbit EAN 076640 for historical archive reference only). 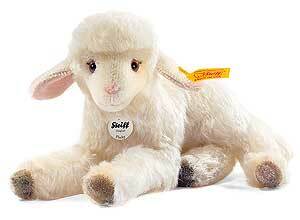 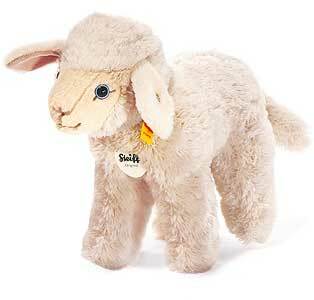 (We have displayed Steiff FLOCKY Lamb EAN 073311 for historical archive reference only). 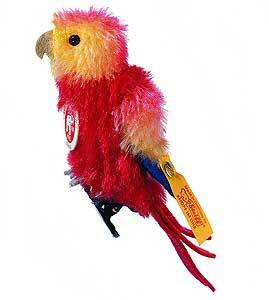 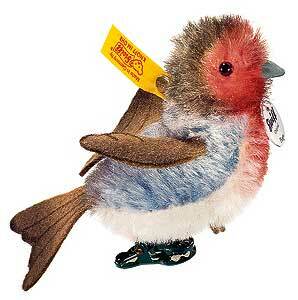 (We have displayed Steiff Red Mohair Parrot 057809 for historical archive reference only). 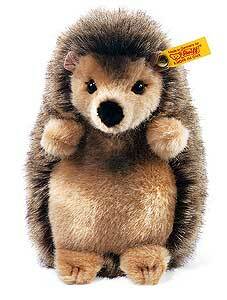 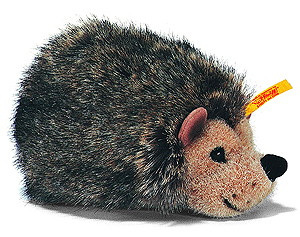 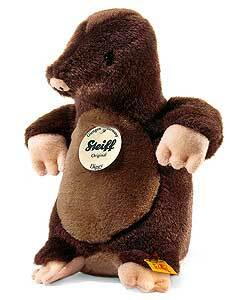 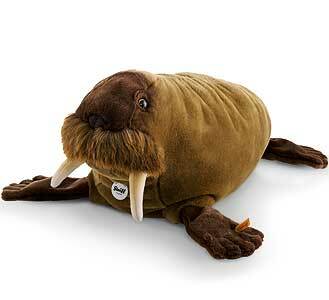 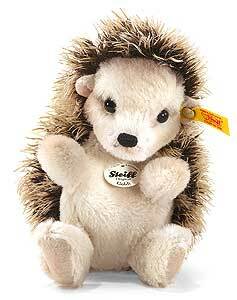 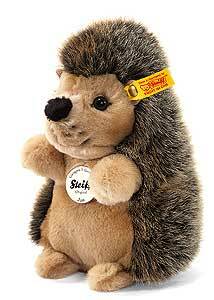 (We have displayed Steiff DIGGY Mole 071133 for historical archive reference only). 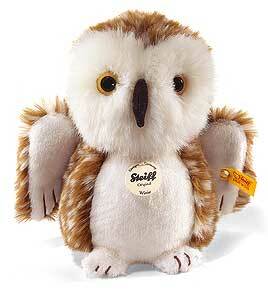 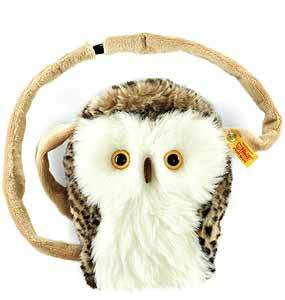 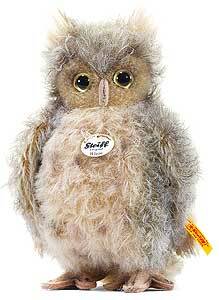 (We have displayed Steiff WITTIE Owl 045615 for historical archive reference only). 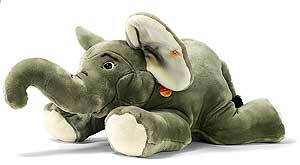 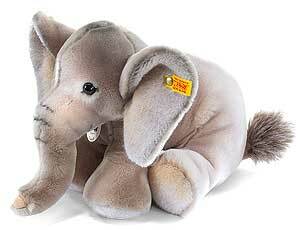 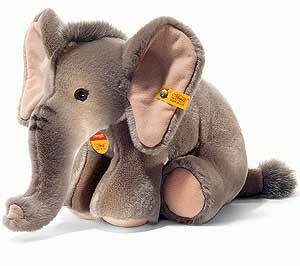 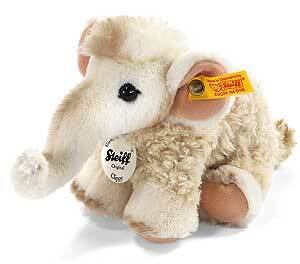 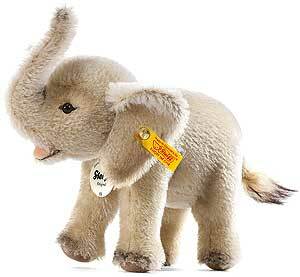 (We have displayed Steiff Elephant EAN 064050 for historical archive reference only). 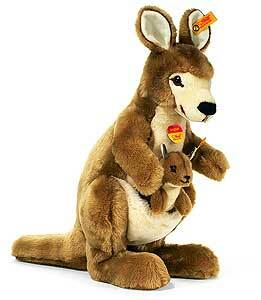 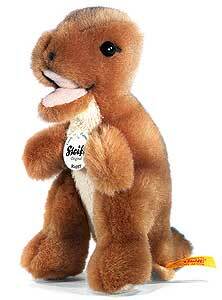 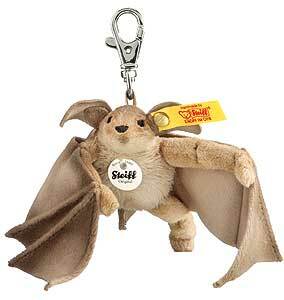 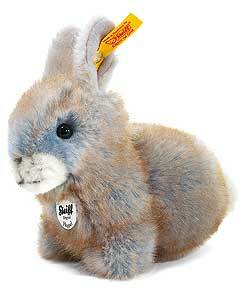 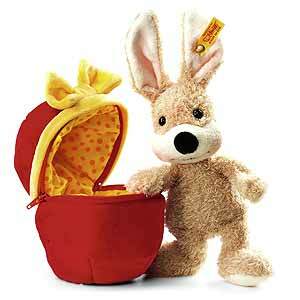 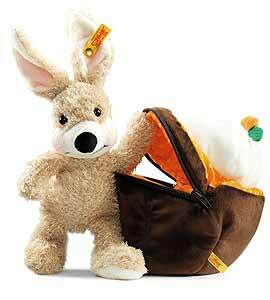 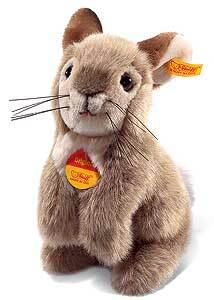 (We have displayed Steiff Kangaroo with Baby 064227 for historical archive reference only). 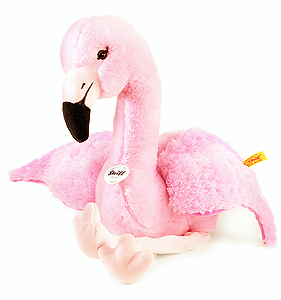 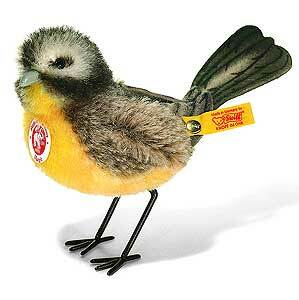 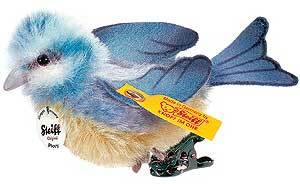 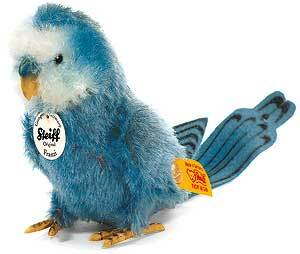 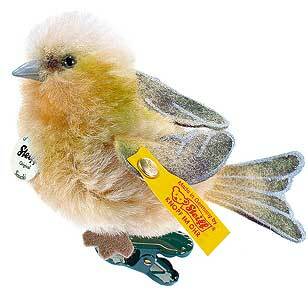 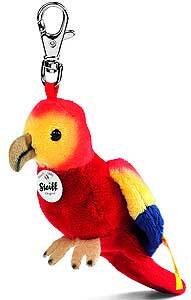 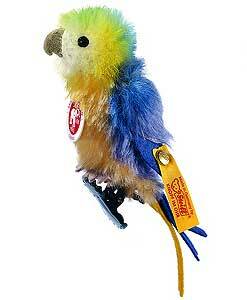 (We have displayed Steiff mohair Parrot 057816 for historical archive reference only).